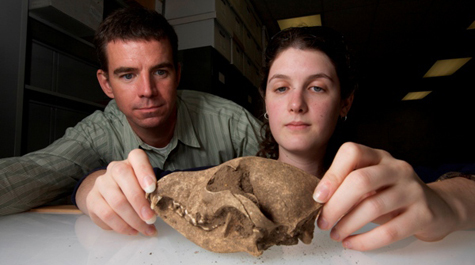 More that 60 William & Mary students have benefited from the generosity of Jim Murray J.D. '74, LL.D. 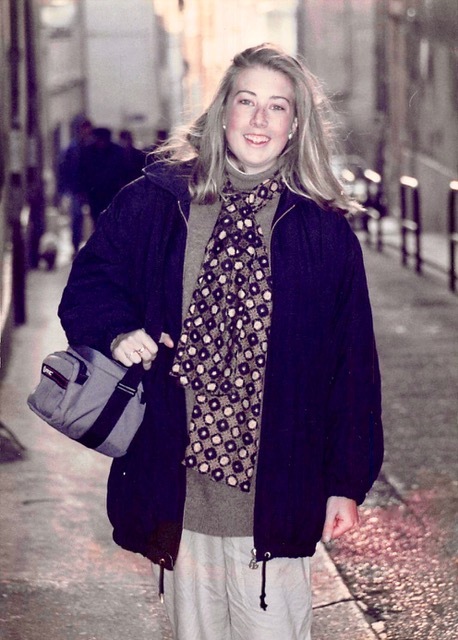 '00 and Bruce Murray since the couple established the 1693 Scholars Program in 2003. 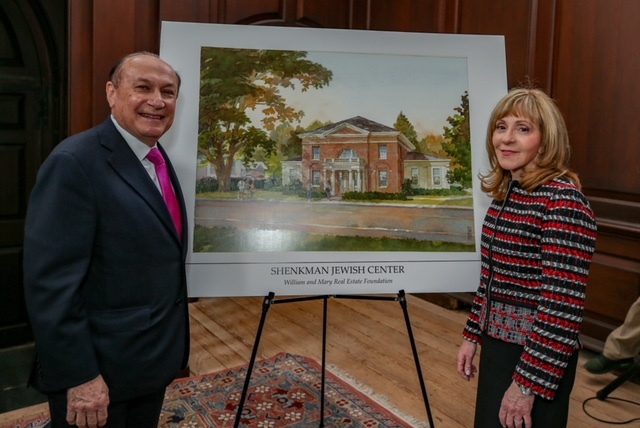 The Murrays recently expanded the program through a $1 million gift that will add an additional scholar to the program. One Tribe One Day 2019 was bigger, better and bolder than ever before, with 13,144 donors giving on a single day. Nearly $2.5 million was raised for areas across the university. In 1693, King William and Queen Mary signed a charter to found a college across the Atlantic in a distant overseas colony. Signing that charter, they couldn’t have imagined what the next 326 years had in store for their little Virginia college, but they knew they wanted to create an institution that would last “for ever.” “For ever” — even at the university’s birth with centuries of uncertainty ahead, its founders put no limits on William & Mary’s future. After a momentous Charter Day weekend — which included the inauguration of President Rowe, the re-investiture of Chancellor Gates ’65, L.H.D. 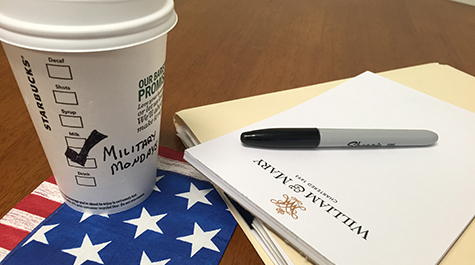 ’98 and a celebration of 326 years of William & Mary history — we are ready to move forward with renewed enthusiasm. The Society of 1918 is William & Mary's giving society by women, for women. It supports the Alumnae Initiatives Endowment, which will fund enriching programming that brings W&M women together to strengthen their bonds with one another and with alma mater. 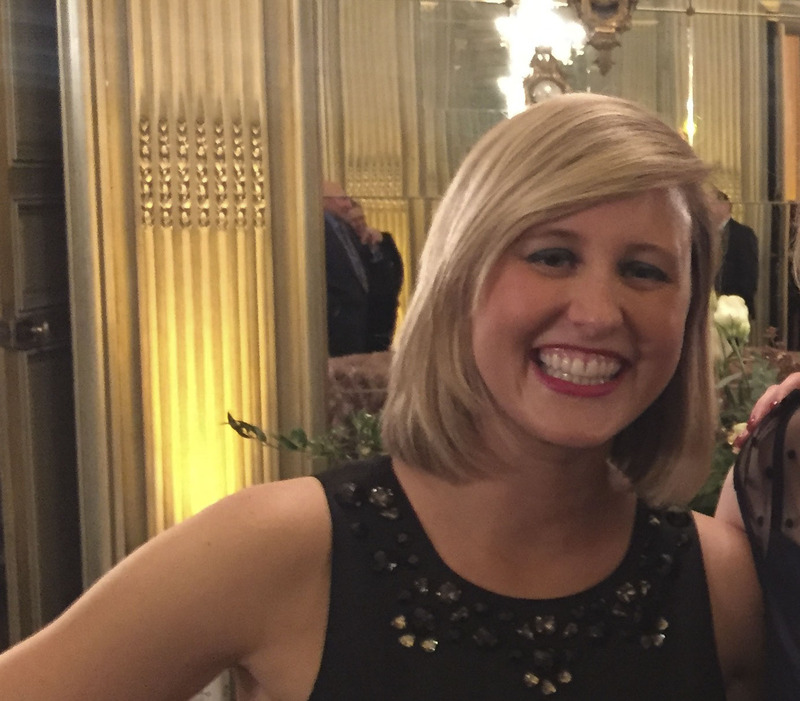 Aili Espigh ’17 is the youngest charter member. Making lemonade from lemons. This proverbial phrase certainly applies to Rachel Becker ’19. 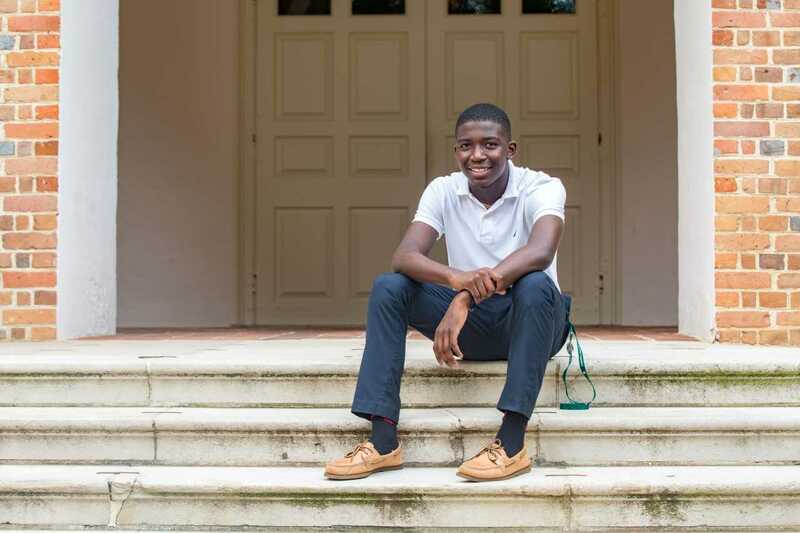 Against the odds, the William & Mary senior has turned a challenging childhood into a compassionate mission to help others. Now, thanks in part to a Parents Fund scholarship, she is well on her way to pursuing her dream to support child and family rights. Ariel BenYishay, AidData’s (aiddata.org) chief economist and associate professor of economics, shares his thoughts on the Cloudera Foundation’s award. 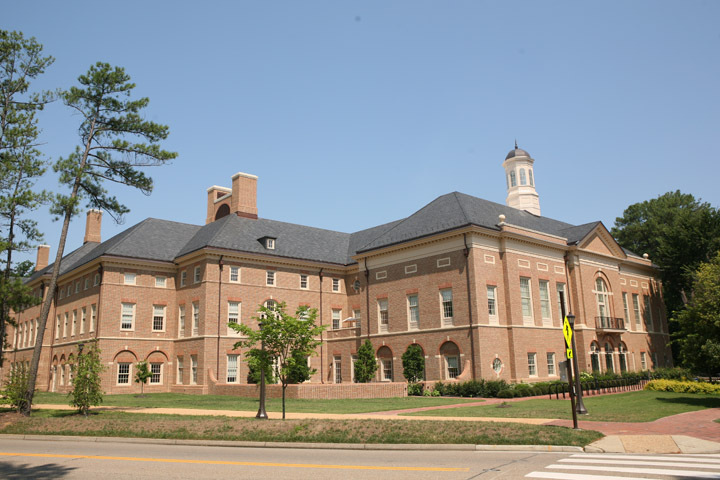 AidData is a research lab located within William & Mary’s Global Research Institute. BenYishay reflects on how this new partnership will help advance the work AidData has been pioneering for over a decade. 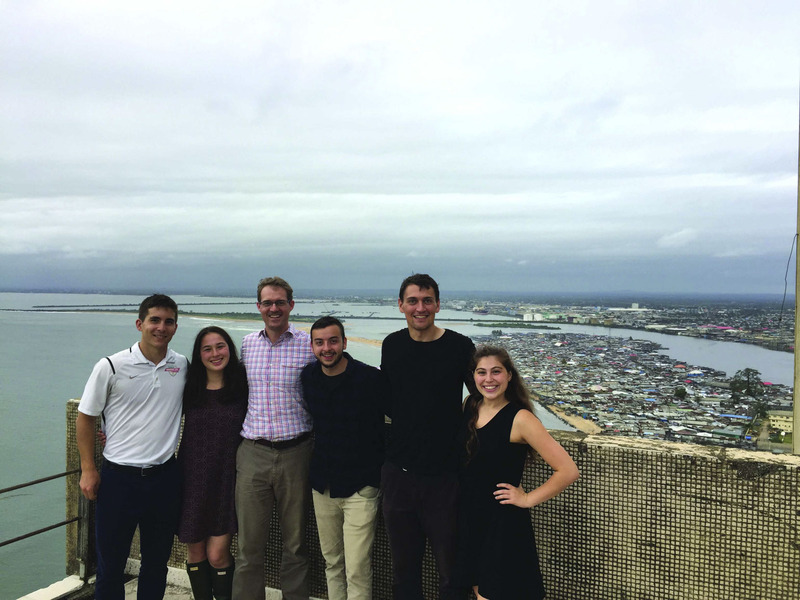 Julian Fore ’71 has never forgotten the generosity of the donor who funded the scholarship that made it possible for him to spend one year abroad at the University of St Andrews. While there he was exposed to works of art that forever changed his perspective of the world outside of Virginia. Over the last several years, Facebook has been a lightening rod for controversy, as scholars and pundits alike debate the social media platform’s impact on civil discourse, both in the United States and beyond. 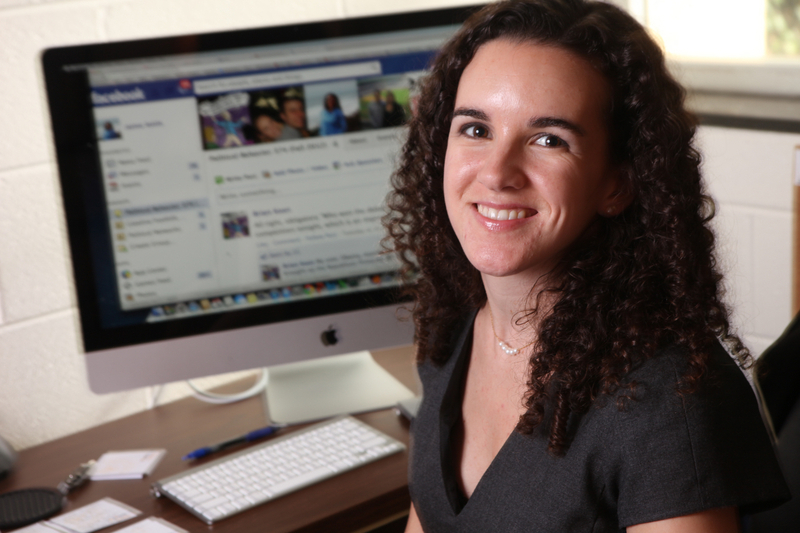 With a new $50,000 grant from Facebook, Associate Professor of Government Jaime Settle and her students hope to determine how users process political information encountered there and why they engage with different types of content, including fake news. 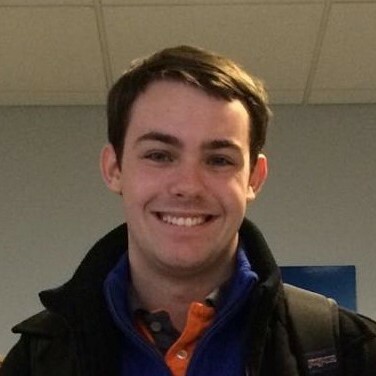 The thank you letters were all addressed to Ethan Winter ’14. One after one, each student had written to thank Winter for helping to make their research possible at William & Mary. Winter’s parents found the letters in fall 2016 while cleaning out his apartment after he passed away at the age of 24. 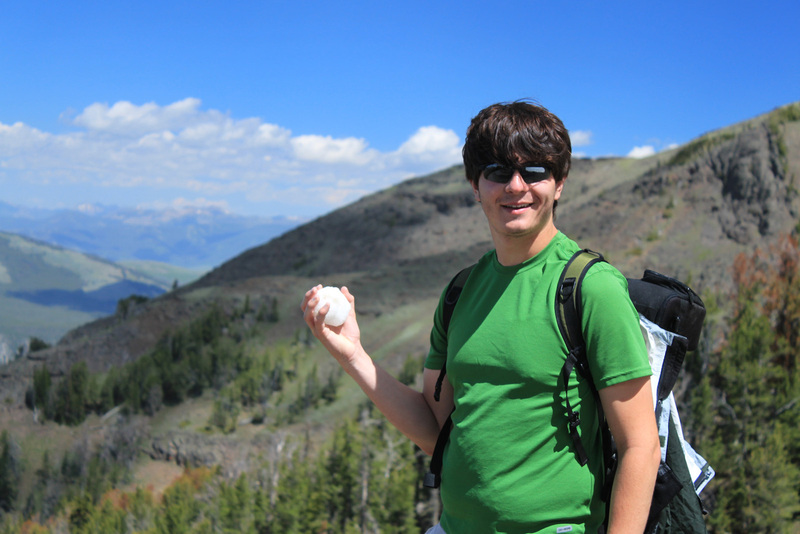 Since finding those letters, the Winters have made it their personal mission to pass Ethan’s generosity on to others. 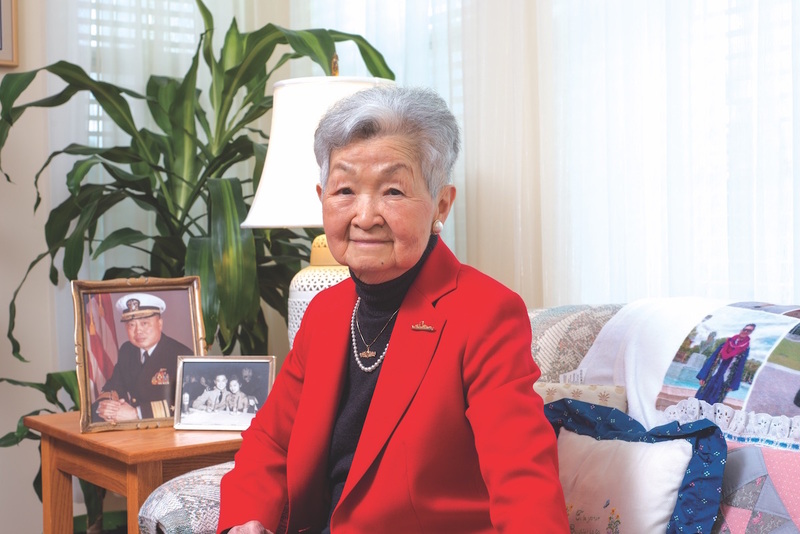 Ming Chang ’55 and Charlotte Chang are the embodiment of the American dream. Their story merges hard work and the freedom to pursue their destiny into a life of opportunity, success and notable firsts in the Asian-American community. Now the Chang family strives to create the same opportunities for others. Sara Nance, who passed away July 4, 1998 from cystic fibrosis, never got the chance to fulfill her dream of becoming a writer — but her parents, Judy P. Nance ’69 and Peter Nance ’66, are making that dream possible for others by funding the Sara E. Nance Professorship of English in her memory. 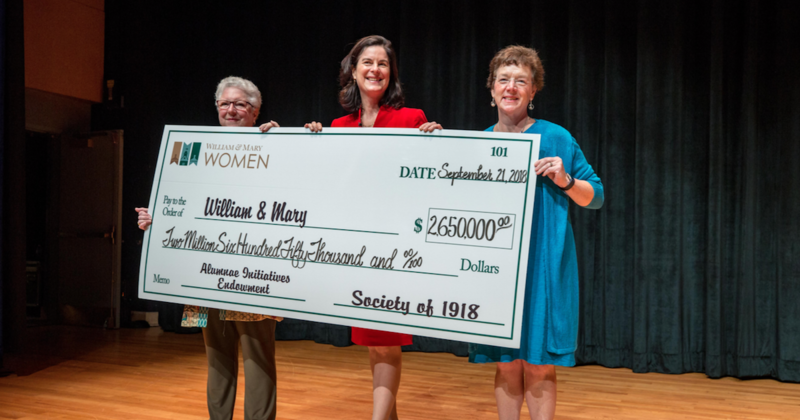 With more than 470 women gathered together for the first-ever William & Mary Women’s Weekend, members of the Society of 1918 presented President Katherine A. Rowe with a $2.65 million check in support of an endowment benefiting alumnae. 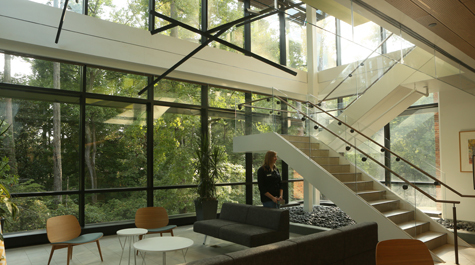 The McLeod Tyler Wellness Center, which was dedicated Tuesday, brings together William & Mary’s Office of Health Promotion, Counseling Center, Health Center, and Campus Recreation’s wellness programing under one roof along with the new Center for Mindfulness and Authentic Excellence. William & Mary’s Raymond A. Mason School of Business (MSOB) is launching a new MSOB Center for Online Learning to grow its portfolio of online graduate business degree programs and to build on its tradition of delivering high-engagement and student-centric experiences. The center is being created thanks to a $10 million gift from Virginia Beach-based philanthropist Jane P. Batten HON ’17. This is one of the largest gifts ever given to a business school in support of online learning. Last Friday, freshman students moved into our residence halls and began their lifelong journey with William & Mary. It’s always an exciting time on campus — students are filled with great anticipation as they meet new friends and prepare for their classes. President Katherine Rowe was eager to welcome home all of the new and returning students and pitched in to help unload cars packed with all the necessary essentials to survive the year. There are now a total of 6,285 undergraduates — who hail from all 50 states and more than 65 foreign countries — and 2,455 graduate students at William & Mary. NyJey Pope '22 is the first Camp Launch participant to attend William & Mary since it started in 2012. Camp Launch, a two-week residential camp for gifted middle school students that focuses on STEM (science, technology, engineering and math) writing, academic self-efficacy and personal development curriculum. 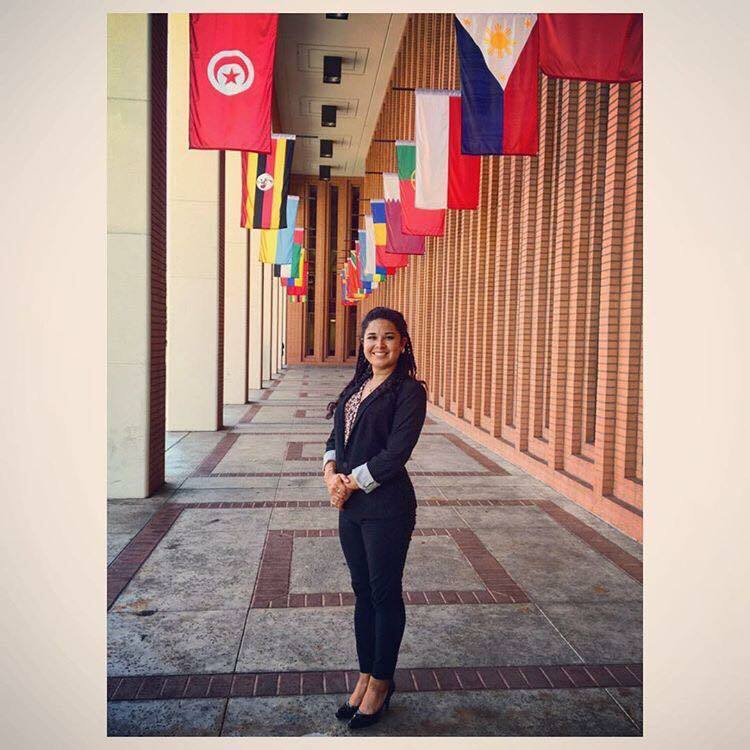 Jessica Chilin-Hernandez ’12 recently discussed the impact and importance of alumni participation. 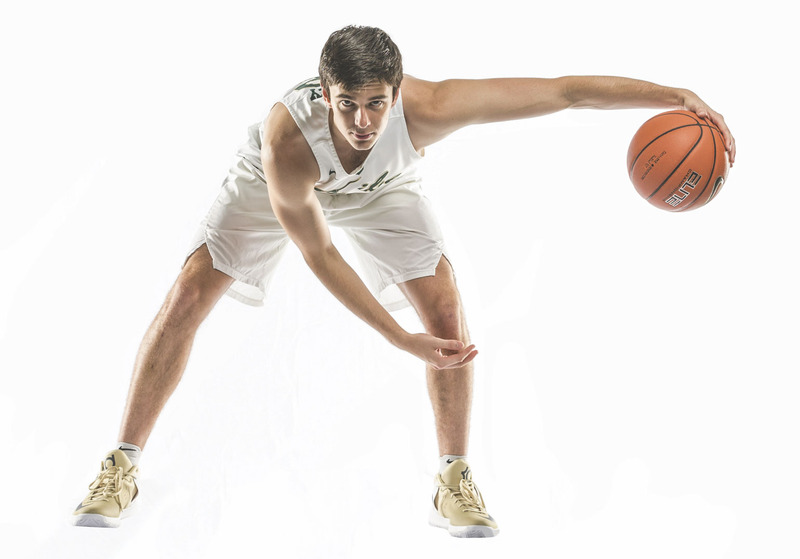 For years, Cory English’s journey to William & Mary was purely professional. 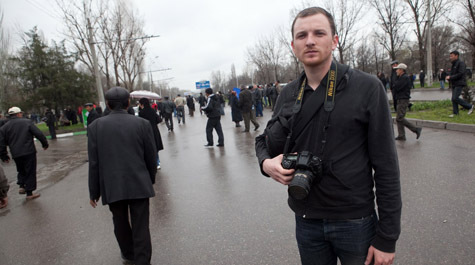 It wasn’t until the tragic loss of his beloved wife that he returned on a personal mission. Professor Artisia Green’s '00 exceptional commitment to innovative teaching and research has made her a standout among many William & Mary donors. 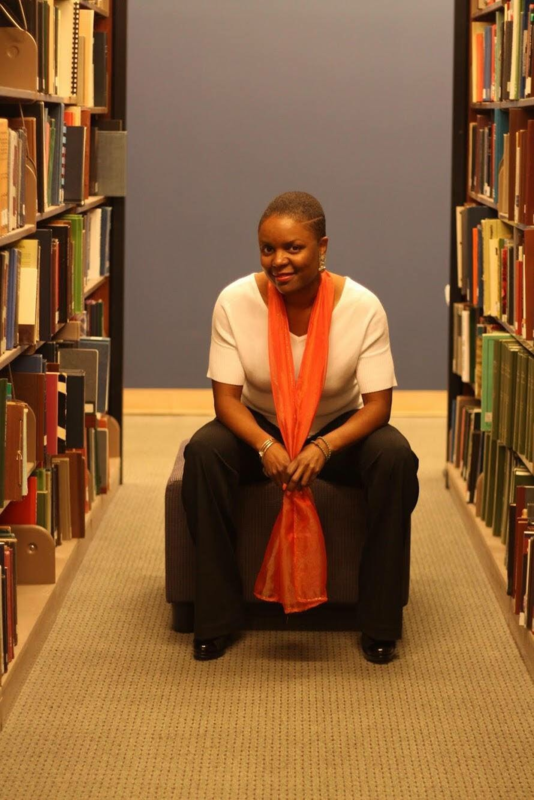 She is the current Sharpe Associate Professor of Civic Renewal and Social Entrepreneurship, a WMSURE Mellon Faculty Fellow and a W. Taylor Reveley III Interdisciplinary Faculty Fellow. A focus of mine this semester is sustained, strategic listening. I want to hear directly from students, faculty, alumni, parents, staff and friends, including our friends in Richmond, to understand what they value most about William & Mary and their hopes and dreams about the future. With two years remaining in William & Mary’s For the Bold campaign, the university has now passed the $800 million mark and is nearing its $1 billion goal. As the No. 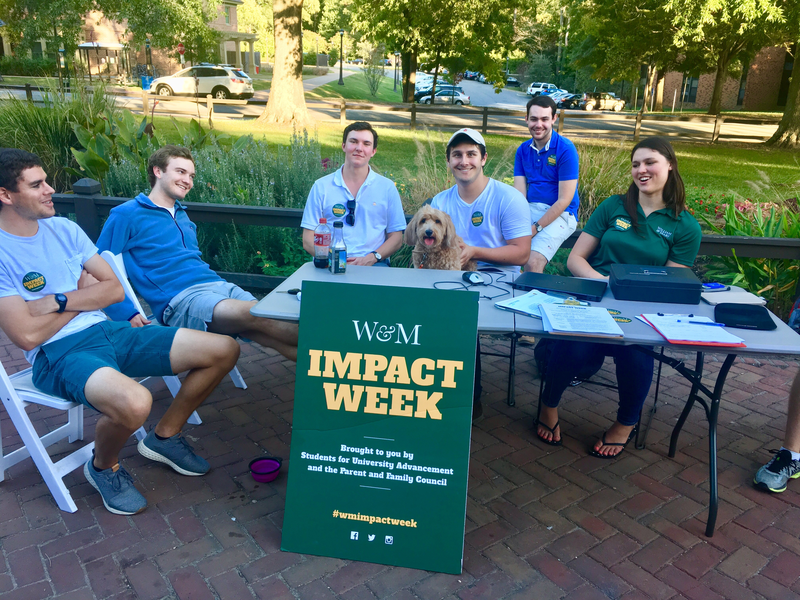 1 nationally ranked public university for undergraduate alumni participation, William & Mary has positioned itself as a leading university in philanthropic giving and engagement growth. 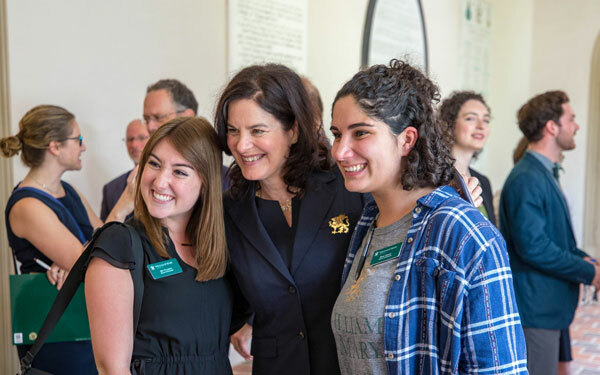 Just days after Katherine A. Rowe was sworn in as William & Mary’s 28th president, an alumna stepped forward to make a $1.5 million gift to establish a President's Strategic Investment Fund. The gift was made in honor of Rowe, the first woman to hold the position at the university. 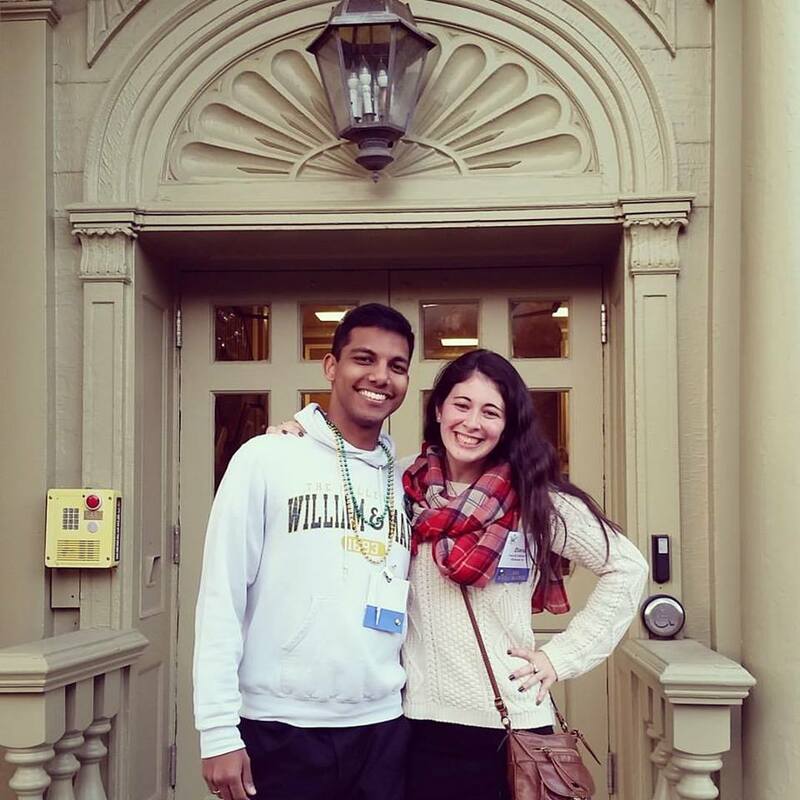 We had the opportunity to sit down with Diana Villarreal ’13 and Karthik Ilakkuvan ’13 in Richmond, Virginia, to talk about their time at William & Mary. 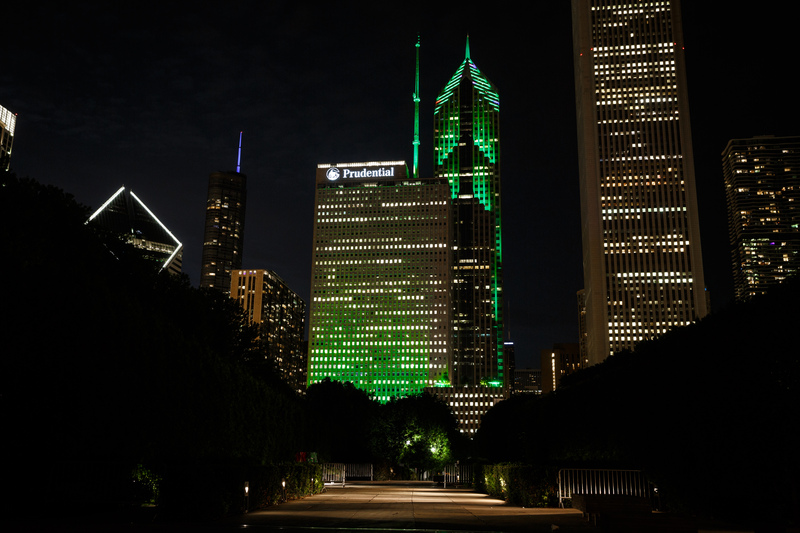 Chicago’s skyline came alive last night during a For the Bold campaign celebration with William & Mary’s colors illuminating several iconic landmarks in honor of the nearly 24,000 alumni, parents and friends in the Central region. 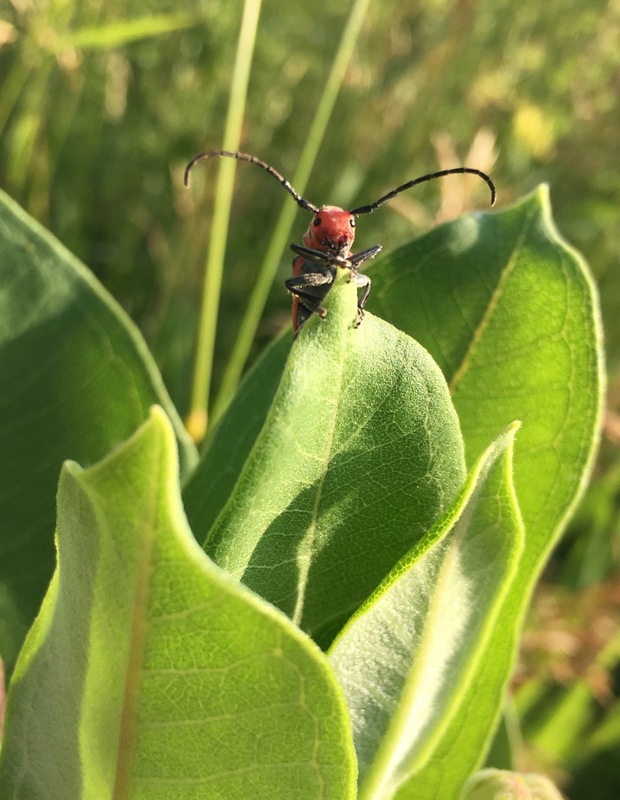 Students might be on summer break but For the Bold continues to build momentum. Soon fiscal year 2018 will end and we need everyone's support to make it a remarkable one. 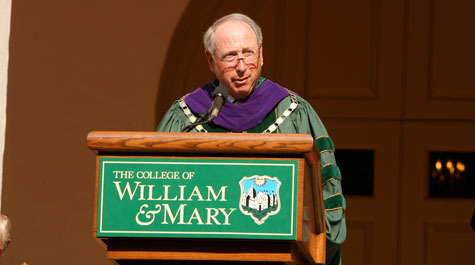 William & Mary Law School recently received two generous scholarships totaling $2 million from Jim Penney J.D. ’83, LauraLeigh Young, as well as Howard Spainhour ’54, B.C.L. ’56 and Nancy Spainhour ’54. The couples’ gifts will support generations of law students. 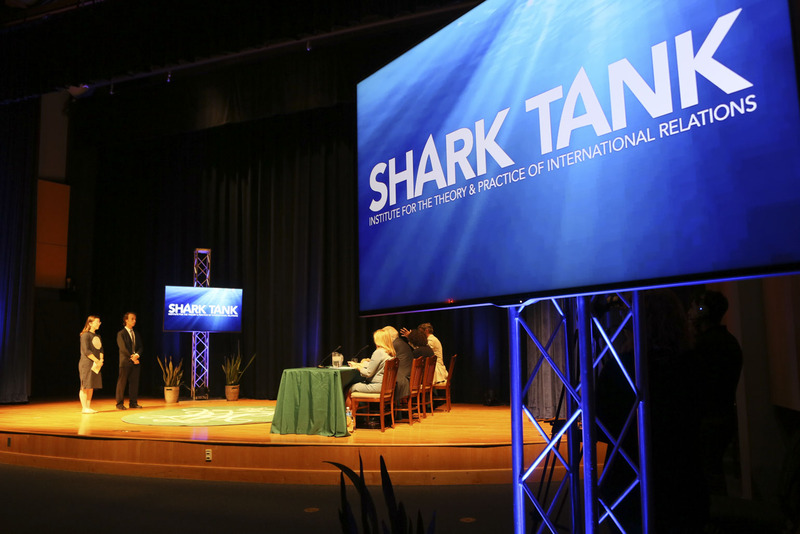 This past Charter Day, Shriver committed to establish the Mark O. Shriver IV Economics Scholarship Endowment, which will provide scholarship support for undergraduate students at the university, with a preference for economics majors. The family of Patrick Flaherty ’92 remembers him for his great smile and the way he brought people together. Now they are creating a way for more people to remember him. The Class Ambassador Academy is one of the marquee annual events for recent graduate engagement and philanthropy, made possible by a dedicated group of class ambassadors representing the Young Guarde. 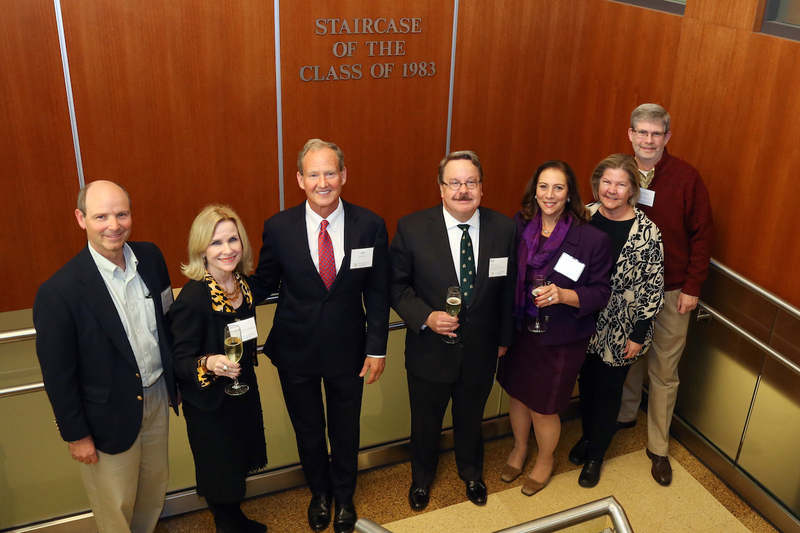 Last Friday, the William & Mary Alumni Association inducted six new honorary alumni into its ranks at the annual Honorary Alumni Ceremony. 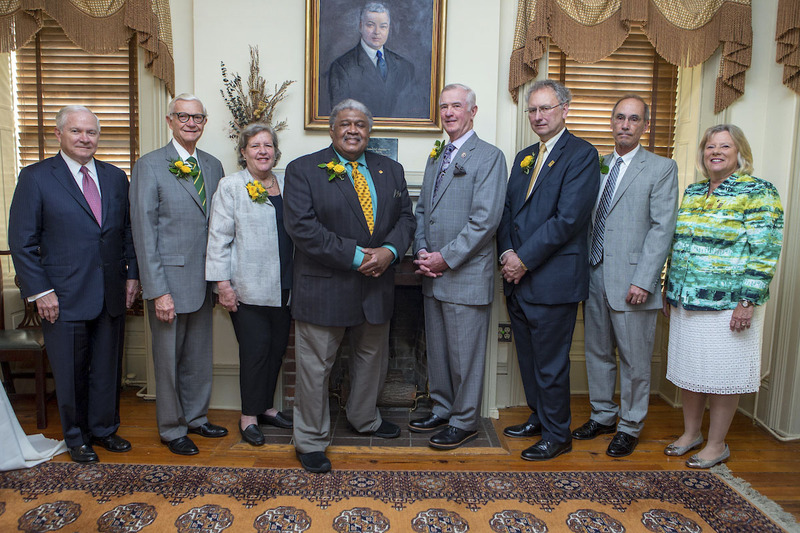 The honorees, including retiring William & Mary President W. Taylor Reveley, III, were recognized for their exceptional service, support, advocacy and commitment on behalf of William & Mary and its schools, departments, organizations and boards. Our William & Mary culture is unique. With every new generation of alumni, there is talk about what life was like when they were here. This month we spoke with Hodan Seger '18 about her undergraduate experience and why she supports W&M. Each year, the awards recognize 20 faculty members for outstanding achievements in teaching, research and service. All recipients receive $10,000, which can be used during the course of two years to fund summer salaries, research or other stipends associated with scholarly endeavors. 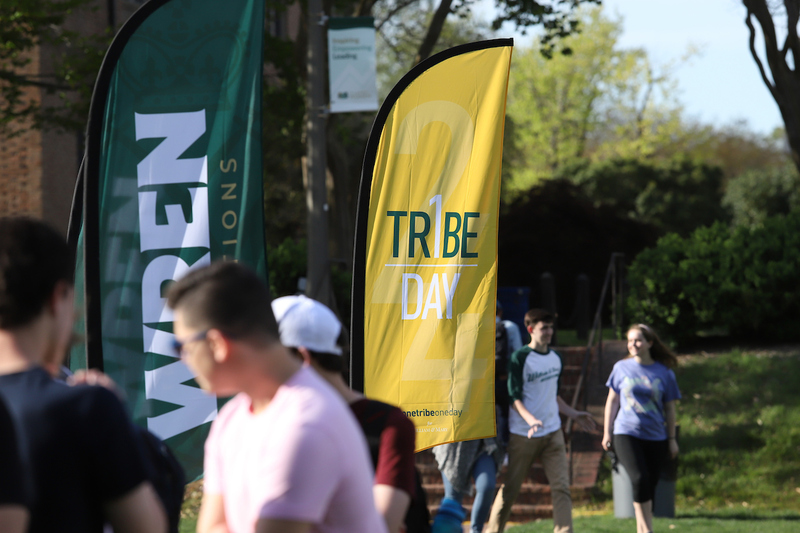 William & Mary celebrated the fifth annual One Tribe One Day on April 10 and surpassed all previous records made on the university's single biggest day of giving. An impressive 12,770 donors made a gift last Tuesday, marking a nearly 570 percent increase in the number of donors who gave compared to its first giving day in 2014 when 1,906 individuals gave back. When Jim Penney J.D. ’83 attended William & Mary Law School, he needed to take out loans to pay for his degree and to make ends meet. 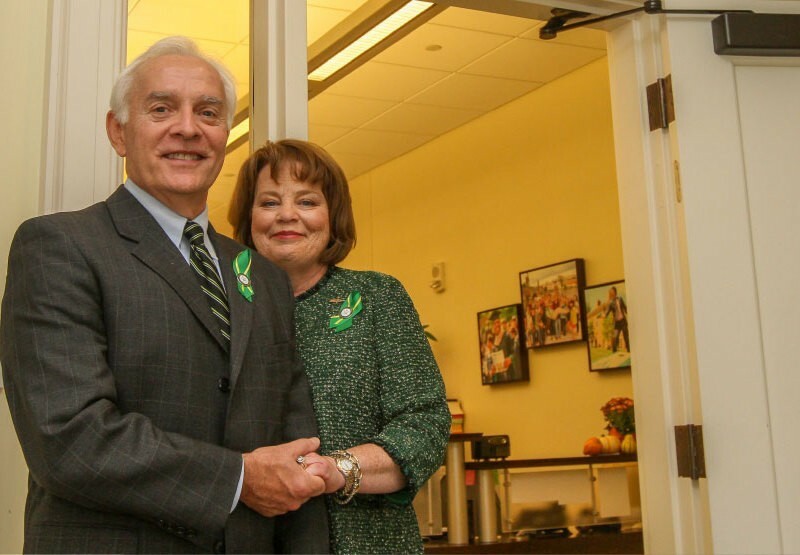 Thirty-five years later, Penney and his wife LauraLeigh Young have chosen to help reduce the financial burden for future William & Mary law students with a $1 million gift toward scholarships, the top priority of the university’s For the Bold campaign. This month we spoke with Ashley Pinney '08 and she shares her fondest memories from W&M and describes her relationship with the Tribe. 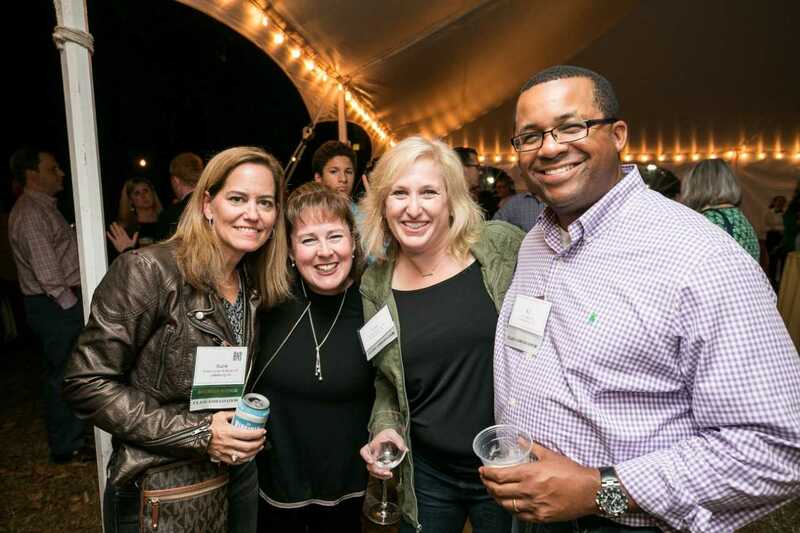 Greater Richmond was ignited with Tribe Pride last night as the William & Mary community gathered together at the Virginia Museum of Fine Arts to celebrate For the Bold. 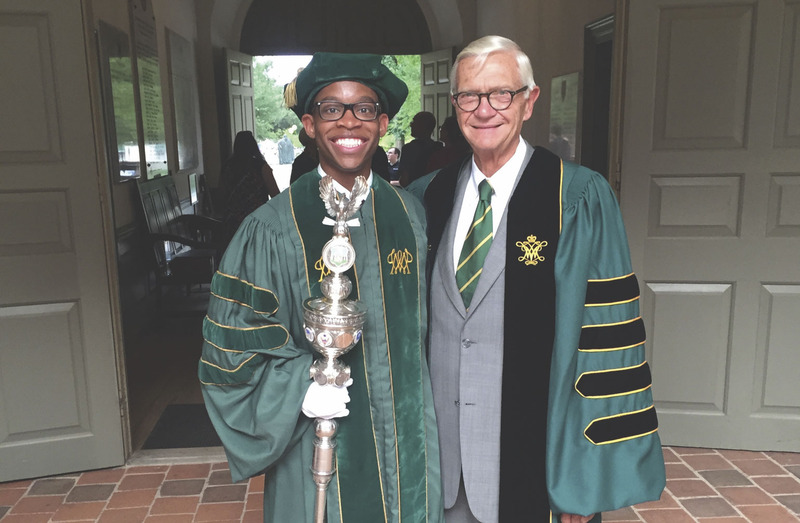 This month we spoke with Class of 2016 President, Yohance Whitaker, to hear about his favorite William & Mary memories and what he's been up to since graduation. 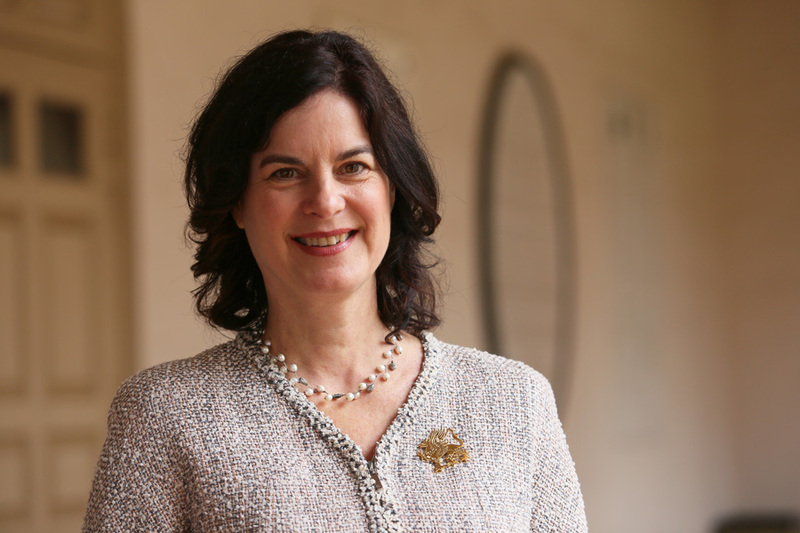 William & Mary’s Board of Visitors today unanimously elected Katherine A. Rowe, currently provost of Smith College and a leader in digital innovation of the liberal arts, as the 28th president of the university. When violence spilled into their hometown in Chihuahua, Mexico, Evan King '17 and his mom knew they had to leave. All along the Texas-Mexico border, gang and drug-related violence had steadily increased since 2006. King's mother worked three jobs to pay her children's school fees and to keep food on the table, and a brief move to another town provided neither safety nor better work. 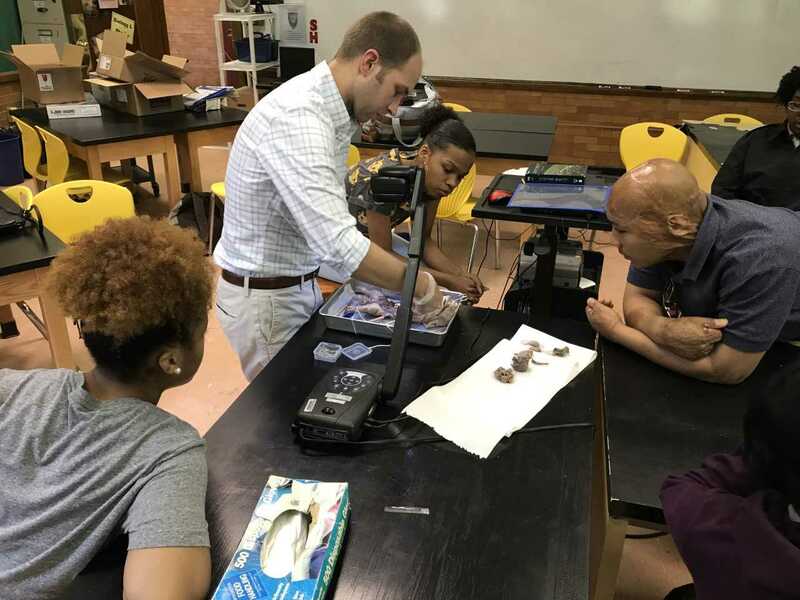 Honors Fellowships are administered by the Roy R. Charles Center for Academic Excellence, which supports faculty development, student research and engaged learning, honors and interdisciplinary studies. The center's director, Wiengartner Professor of Government Joel Schwartz, is stepping down at the end of this semester after 30 years at the helm. 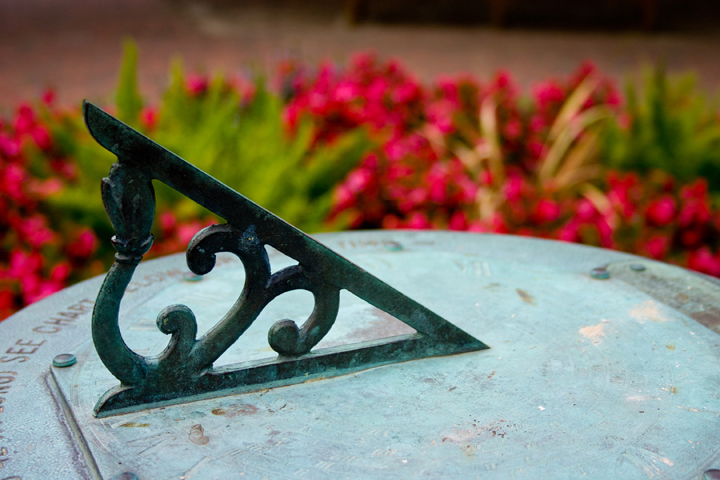 Named in honor of the year William & Mary first admitted female students, the Society of 1918 aims to grow women's engagement, leadership and philanthropy and celebrate and honor William & Mary women. Members who join by June 30, 2018 are charter members of the society. 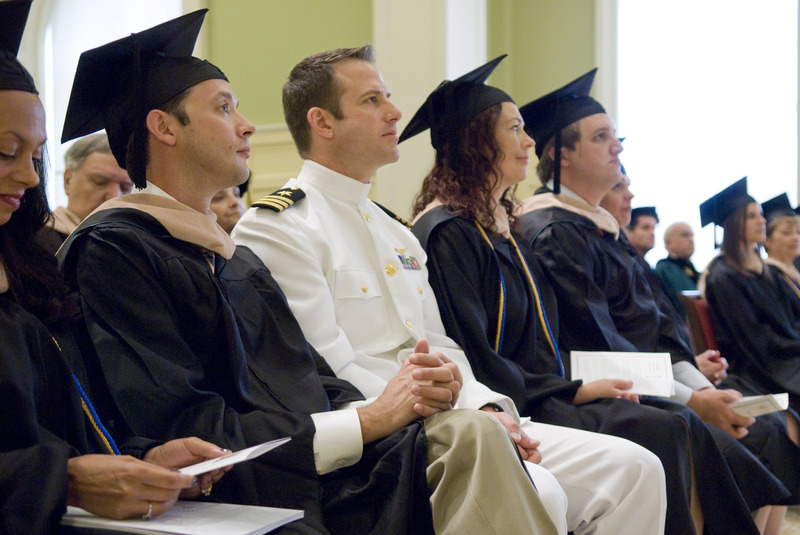 A robust and enthusiastic alumni population has existed at William & Mary for generations, and its members have served as outstanding stewards of the university. 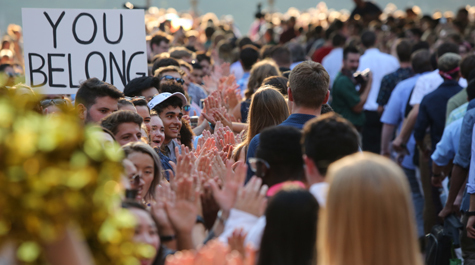 Against a backdrop of nationally declining participation rates and weakened bonds between alumni and institution, William & Mary has prevailed. William & Mary Law School’s Lewis B. Puller, Jr. Veterans Benefits Clinic has received a $50,000 grant from the Dominion Energy Charitable Foundation to help expand the reach and impact of its Military Mondays program. William & Mary matters. It mattered at the inception of our nation, and a heavy dose of American history infuses our brick pathways and hallowed halls. William & Mary has personally mattered a great deal to me and my family for generations. From October 4-6, about 18,000 women packed into 2.1 million square feet of the glass and steel monstrosity of the Orange County Convention Center on the outskirts of Orlando, Fla. Six of those young women traveled to the Florida Panhandle from William & Mary eager to network, job hunt and socialize with women in the computer science and big data fields. They were able to do so, thanks in large part to private support. 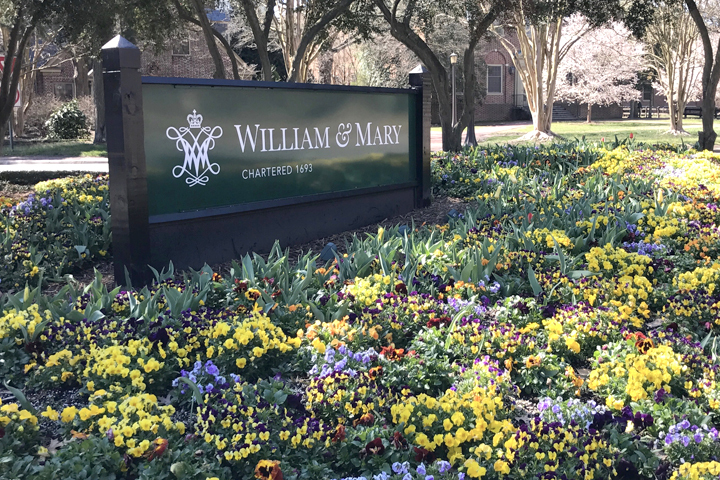 We are thrilled to announce that William & Mary has received a $350,000 Challenge Grant from the Mary Morton Parsons Foundation in support of the Reveley Garden project. In order for the university to receive the full grant amount, we must raise $700,000 by December 2018. What Does “Tribe Pride” Mean to You? The Hixon Family Scholarship Endowment will provide undergraduate scholarships for students who are residents of African countries. The scholarship covers tuition, board, room, fees and travel. The gift also includes an enrichment endowment for internships, study abroad, honors research and summer courses for international students. The connection that they formed in Millington Hall that February, served as a storybook opener for their 41-year marriage. Today, the power couple is using their strong partnership to kindle relationships others have with William & Mary as the co-chairs of the Richmond For the Bold regional campaign. Giving thanks. Celebrating impact. Sharing the light. 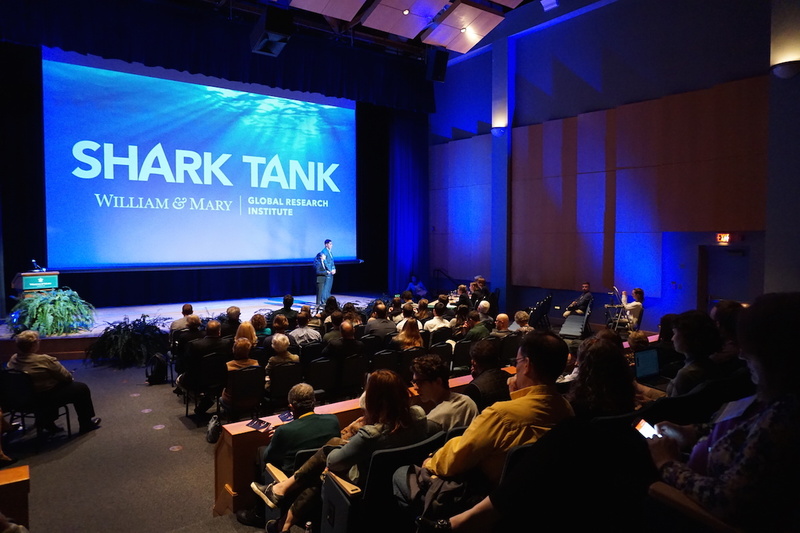 William & Mary's Raymond A. Mason School of Business is already seeing great impact since announcing the Ernst & Young (EY) LLP's $1 million commitment last fall. The grant from the Hewlett Foundation provides funding over three years and will support the implementation of AidData's strategic plan called Vision 2020. 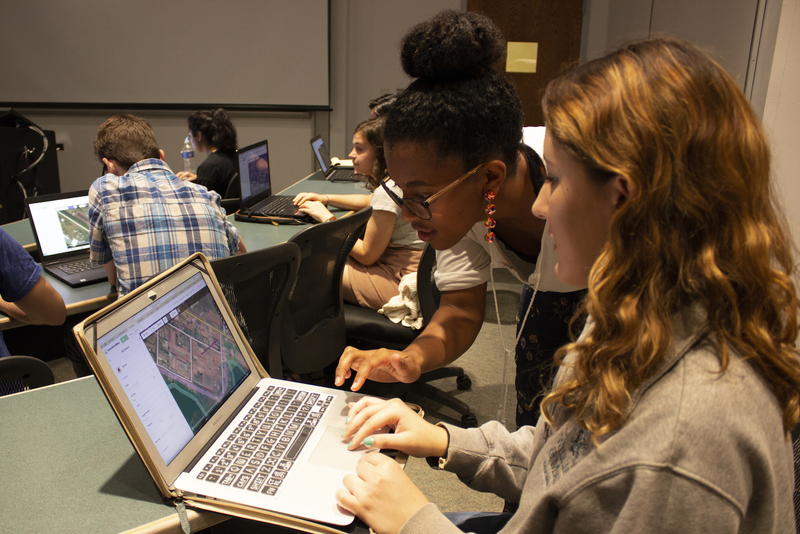 The Andrew W. Mellon Foundation has awarded William & Mary an $800,000 grant to strengthen its undergraduate research program. 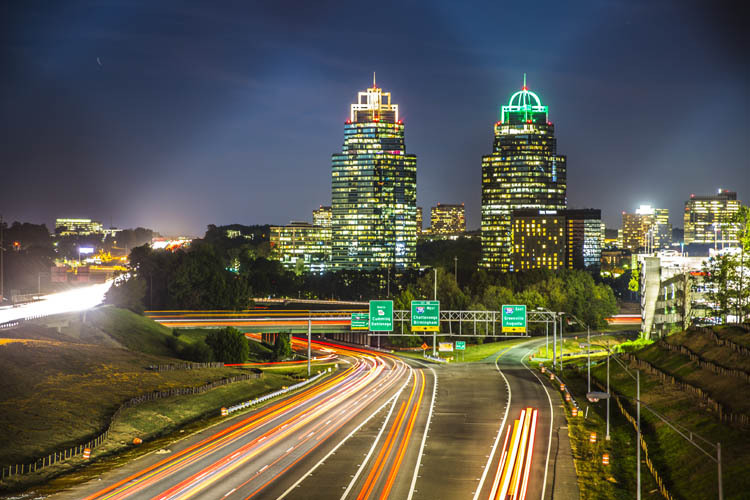 William & Mary celebrated its For the Bold campaign in Atlanta last night as the university's colors lit the sky in honor of more than 23,630 alumni, parents and friends in the Southeast region. William & Mary alumni working in the accounting industry came together for the second-annual Accounting Firms Competition. More than 100 members of the Class of 1967 celebrated their 50th Reunion in April. 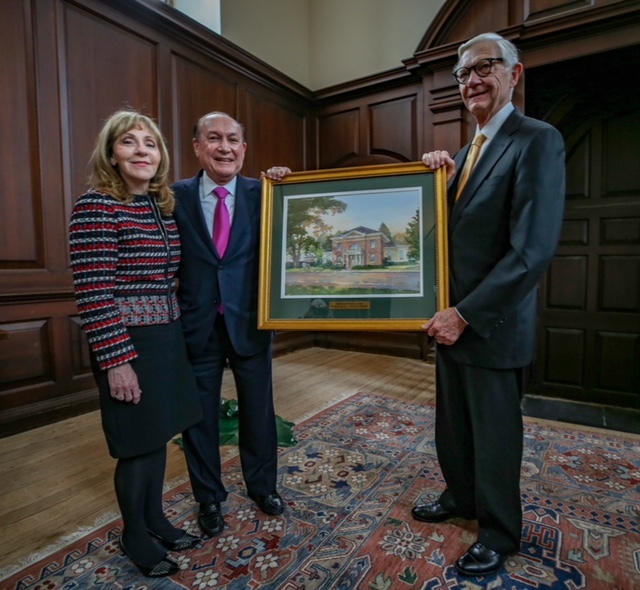 The class collectively raised nearly $18 million to fund the expansion of the Alumni House and a scholarship endowment that will help generations of talented students afford the opportunity to attend William & Mary. The year ahead will provide wonderful opportunities for alumni, students, faculty, parents and friends to be part of our extraordinary legacy and mission. 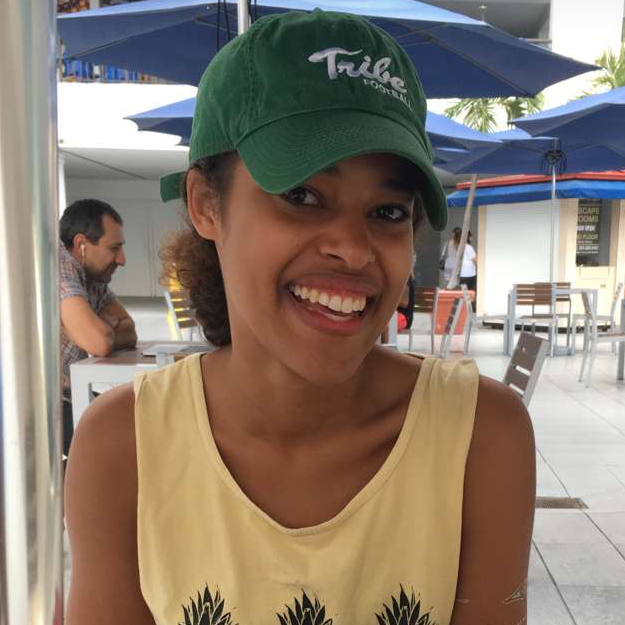 William & Mary is on a roll and there is a great sense of Tribe Pride all around the world, including the Southeast region of the U.S.
For Kendra Jackson ’14 William & Mary is home. It's a place that holds many memories and marks many milestones. Created six years ago by educators and researchers at the W&M Center for Gifted Education, Camp Launch serves students from low-income families, who attend at no cost. 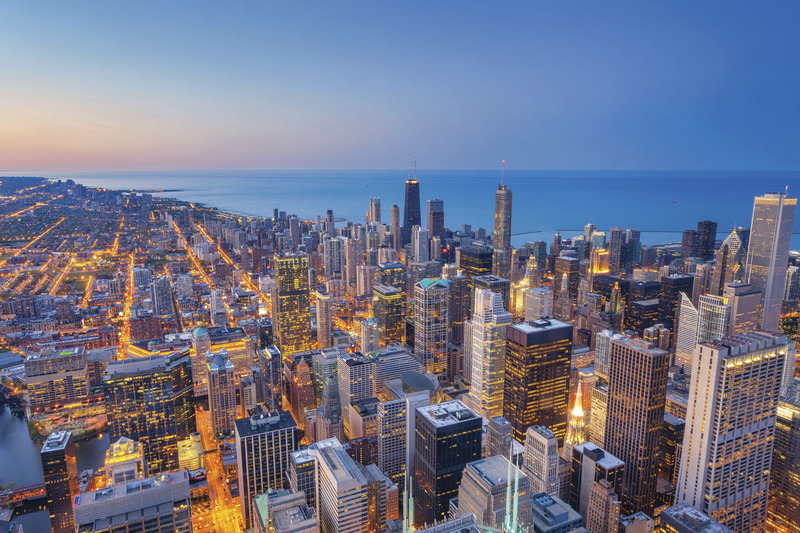 The largest alumni gathering in the business school's history, attendees from eight countries and 40 states came together to reconnect with the people and place they hold dear. 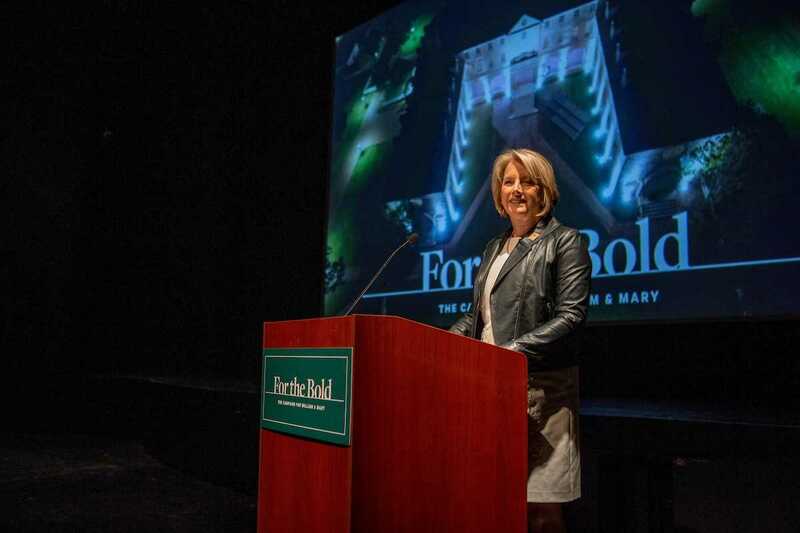 A William & Mary alumna who wishes to remain anonymous just made a commitment of more than $2 million toward the For the Bold campaign's top priority to help exceptional students afford the opportunity to attend the 324-year-old university. Recent damage to the west coast seafood industry from a massive bloom of Pseudo-nitzschia, another toxic HAB organism, serves as a cautionary tale for Virginia and its seafood and aquaculture industries. 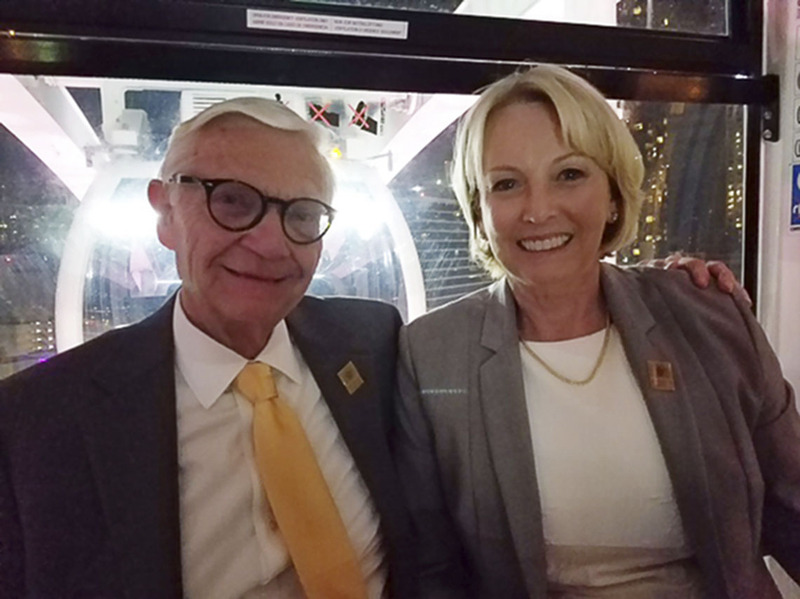 Bob Trice ’68 and Susan Saulmon Trice ’68 have given a seven-figure gift to fund endowments and need-based fellowships/internships. Associate Professor of Russian Sasha Prokhorov and Cindy Centeno ’16, a multi-media specialist at Swem Library, will travel to St. Petersburg, Russia this summer to help W&M students incorporate visual storytelling in their research projects. VIMS Foundation President Steve Johnsen and wife Barbara made a gift to the Dean and Director's Fund for the Eastern Shore, which made possible the purchase of a new research vessel for VIMS' Eastern Shore Lab. William & Mary continues to reach new heights with its historic For the Bold campaign – all because of you. 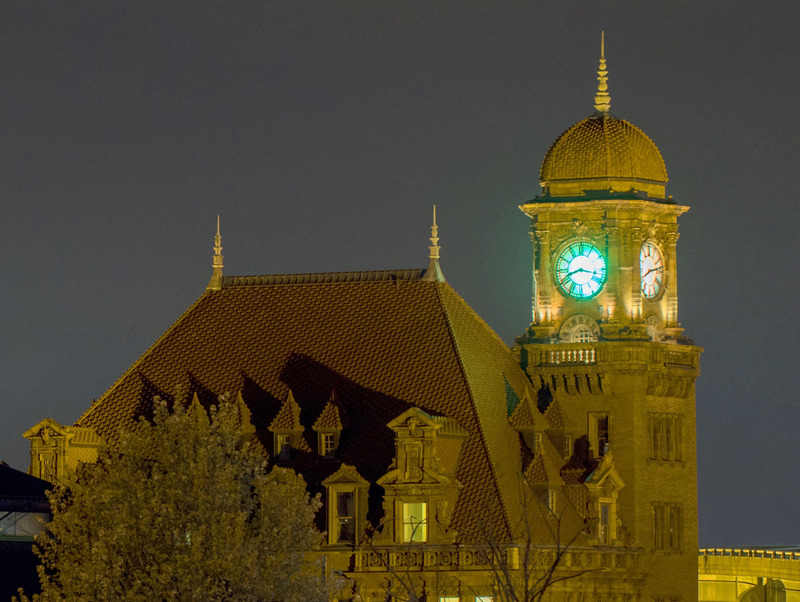 William & Mary celebrated its $1 billion For the Bold campaign last night against the backdrop of the nation's capital as the university's colors illuminated the skyline in honor of more than 20,000 alumni in the Washington, D.C., metro area. 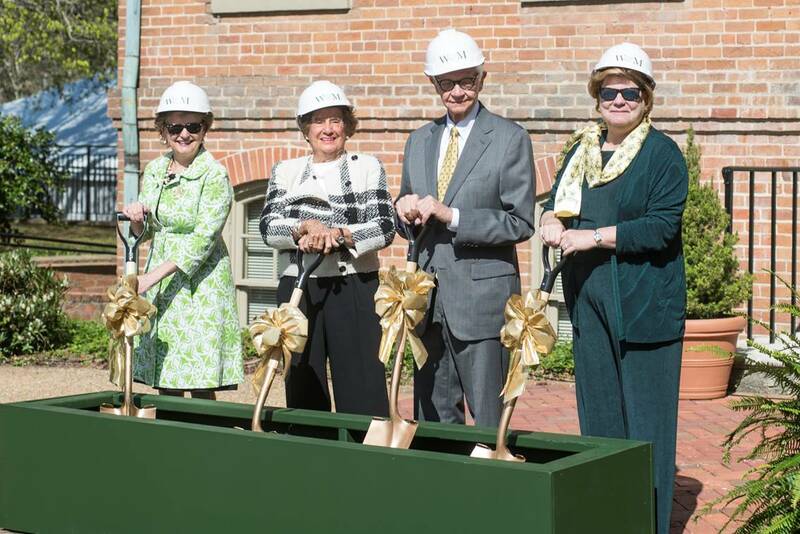 William & Mary announced a $15 million gift from alumna Hunter J. Smith ’51 for the expansion and renovation of the nearly 170-year-old Alumni House. The $5 million commitment will support aquaculture research and the planned expansion of the Alumni House. 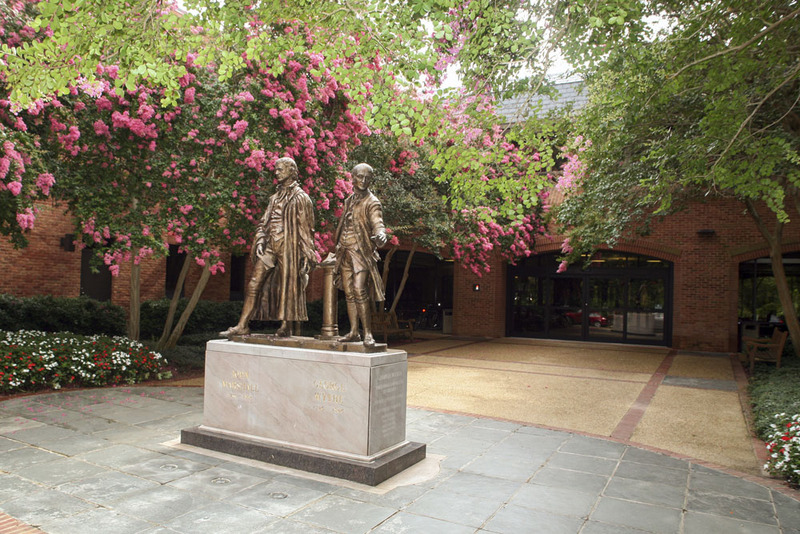 William & Mary's annual giving day raises over $2.4 million. Six William & Mary alumni have been elected to the Board of Trustees of the College of William & Mary Foundation. Jeffrey Doyon ’85 donated a cello to the William & Mary Department of Music to repay its loan of one to him during his youth and while he was a student. 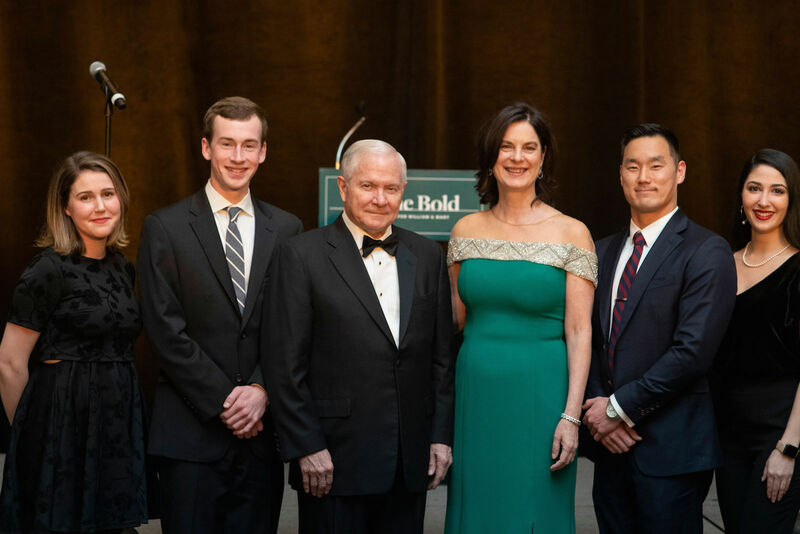 Four alumni will lead the university's For the Bold campaign in the Washington, D.C., metro area. 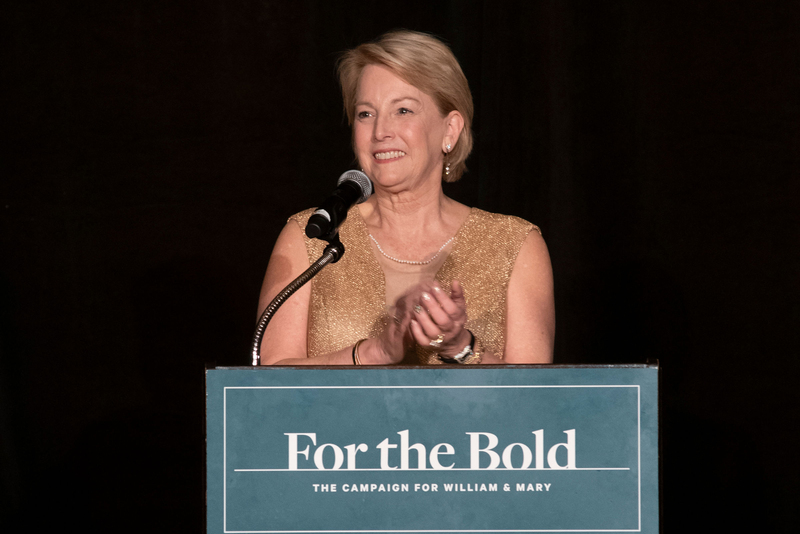 Over Charter Day weekend, William & Mary's For the Bold Campaign Chair Sue Hanna Gerdelman ’76 unveiled Affording Opportunity as the official brand for the university's fundraising effort around scholarships. Recent gifts given through the $1.5 million Cabell Challenge are already helping William & Mary students and faculty conduct innovative research. 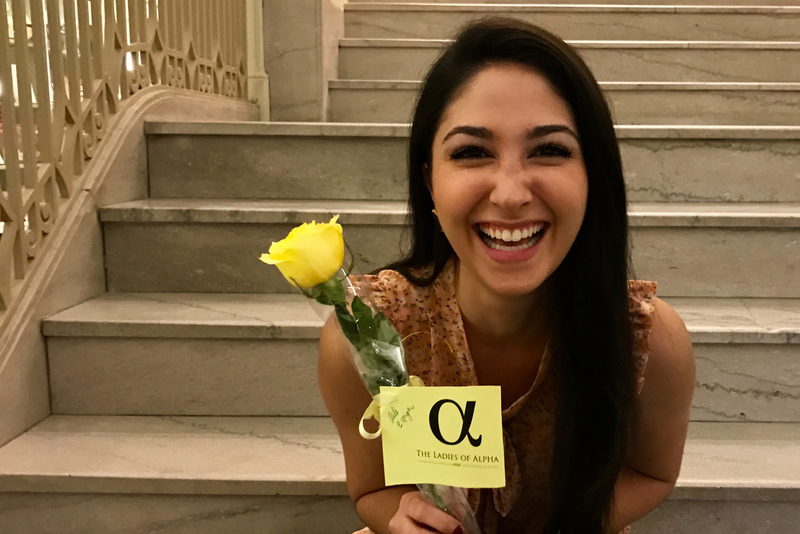 W&M Scholar Ellery Lea ’18 says scholarships donors have shaped her future for the better because they provided her with the means to attend the university and pursue her passions without burden. The Gofuses don't take the gift of education for granted and have made it their mission to continually give back to others. "To think that William & Mary was able to meet me the full way — not half, not one-fourth of the way but the whole way — was a blessing I never counted on." William & Mary's Division of Sports Medicine received commitments totaling more than $2 million from the family of a beloved former Tribe Athletics physician, Dr. Edward M. Jewusiak. 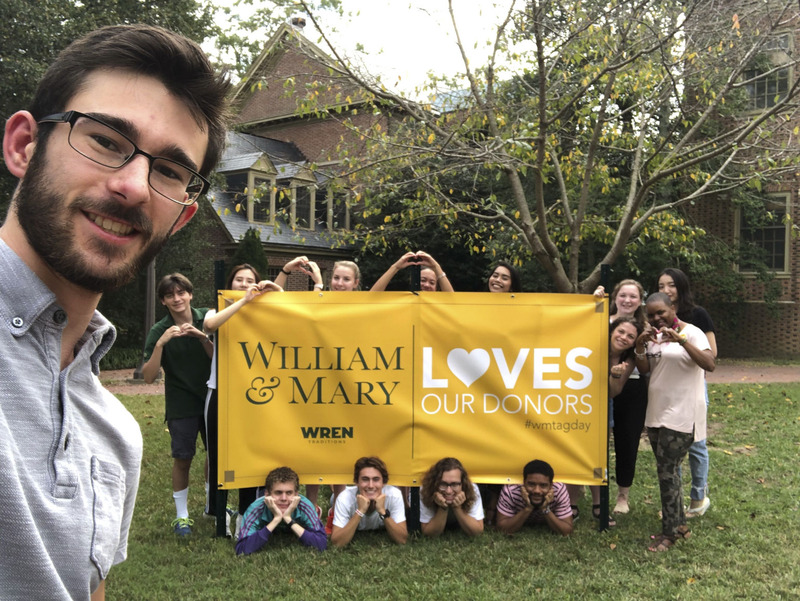 Over the last year, William & Mary celebrated many extraordinary milestones thanks to the loyal and generous support of donors. Thank you for including William & Mary as you plan your end-of-year giving. A gift to William & Mary invigorates the university's legacy of teaching excellence, propels groundbreaking research and advances a strong community of diverse perspectives. A look back at the William & Mary students awarded national and international scholarships and fellowships in 2016. 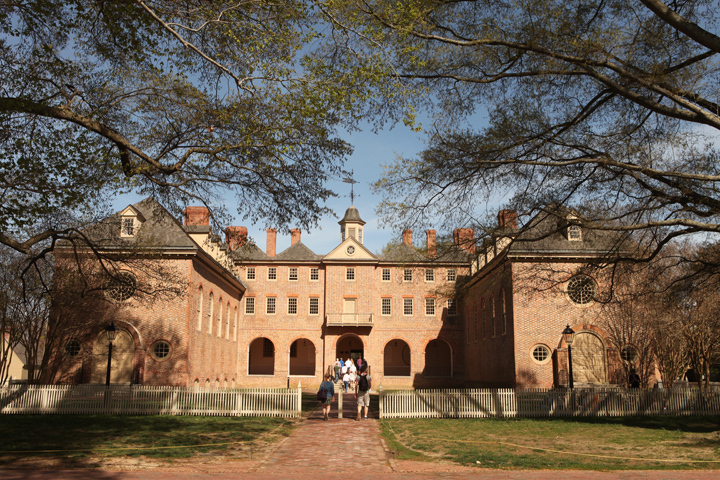 William & Mary's campus got a new look this year in renovation and building projects that updated facilities for 21st century learning and expanded the university's capabilities. The new Alan B. Miller Entrepreneurship Center includes a large common space, a team break-out room, a lounge area, two faculty offices and an individual teleconference room nicknamed the phone booth. Giving Tuesday is a national movement dedicated to promoting philanthropy and the powerful benefits it brings to our favorite causes. 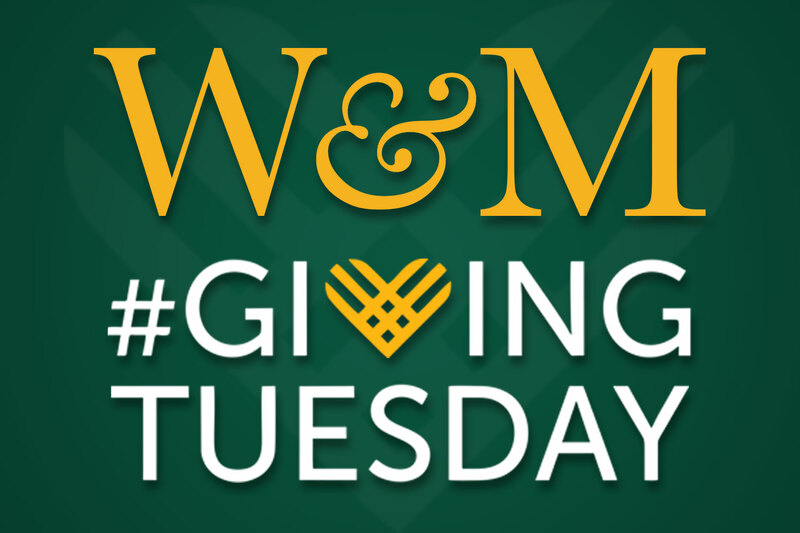 Now, more than ever, we need your support to ensure William & Mary can advance its mission. 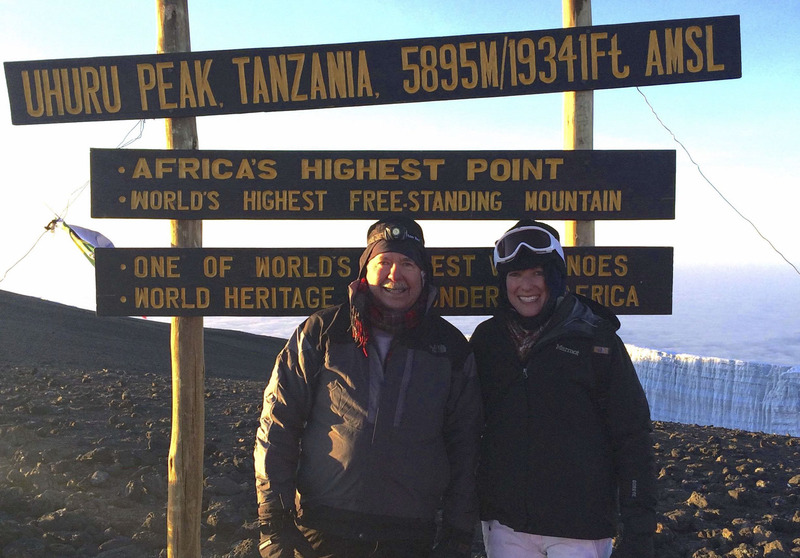 Glenn Hines Harding ’65 and Audra Lynn Mallow ’90 are trailblazers. As co-chairs of the For the Bold campaign, they are cementing the university's footprint on the West Coast. W&M Director of Athletics Terry Driscoll discusses his time at the university and the transformational impact of private giving. 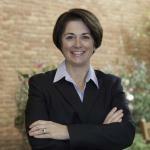 Sara Strehle Duke ’06 is a Bell Society member who has given back to W&M for 10 consecutive years. First recipient of Patriot's Dream scholarship helps other student veterans. William & Mary alumni, parents and friends will have the opportunity to reconnect miles away from the majestic Sunken Garden during William & Mary Weekend in New York City. 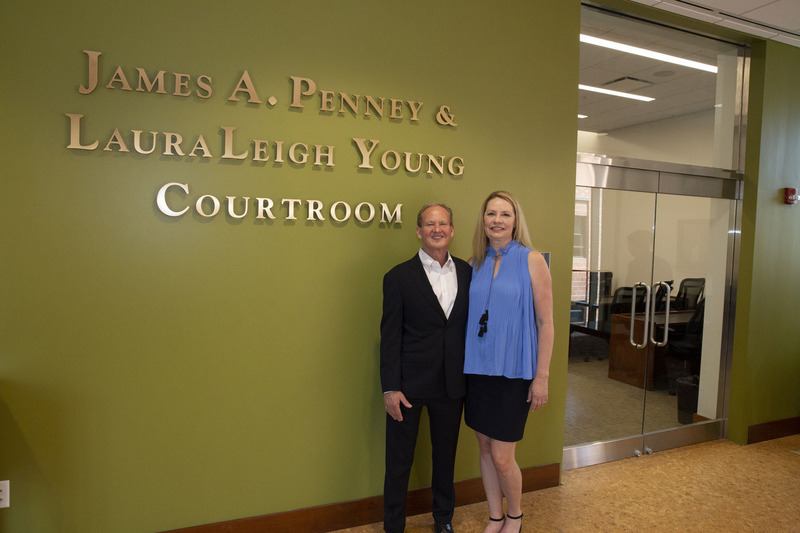 A modern atrium space for law students called Penny Commons will be a part of the new wing of William & Mary Law School, thanks to a generous $1 million commitment from Pamela Jordan Penny ’77 and James D. Penny J.D. ’83. 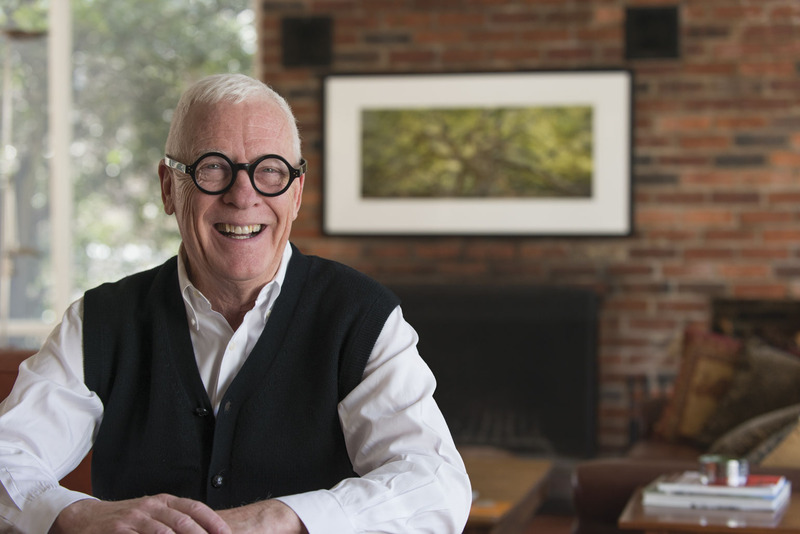 Alan Hilliker ’80 is supporting teaching excellence with a generous gift. 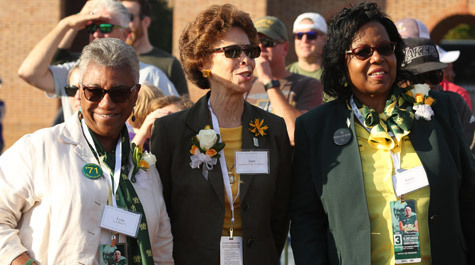 Four generous William & Mary donors recently made a combined gift of $1.4 million benefiting women's athletics. 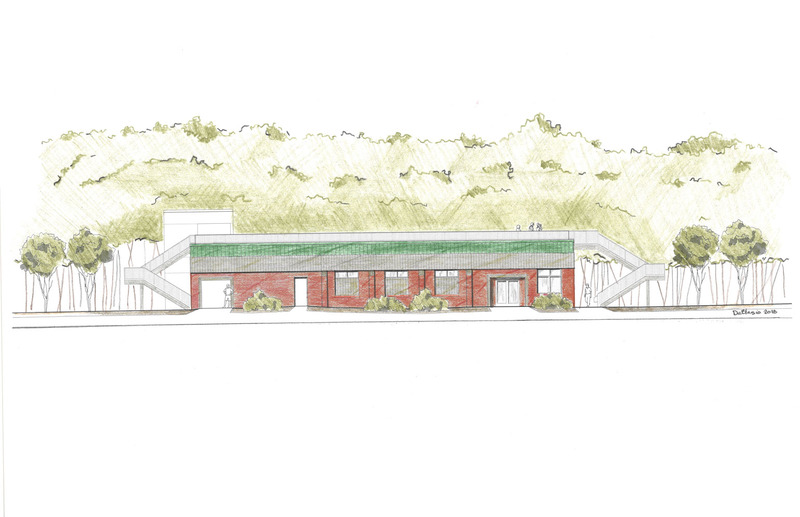 The gifts will be used to finance a multi-use building at Busch Field, the home of the Tribe field hockey program. The chair of Students for University Advancement talks about the impact of private support at W&M. William & Mary's Muscarelle Museum of Art will soon expand significantly as it becomes part of a new, multimillion-dollar, state-of-the-art Center for the Visual Arts. During the Tribe football game on Oct. 29, the William & Mary community came together to celebrate the newly renovated Zable Stadium during the halftime ceremony. 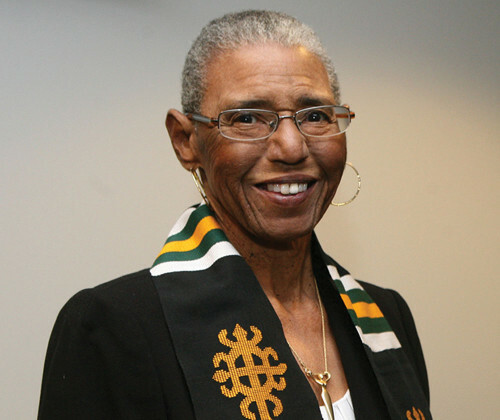 Ernst & Young LLP recently announced a $1 million gift to William & Mary's Raymond A. Mason School of Business to expand diversity and inclusiveness efforts. The Empire State Building was illuminated in green and gold Thursday evening in honor of the nearly 13,000 W&M alumni, parents and friends in the New York City area and over 97,000 alumni around the globe. 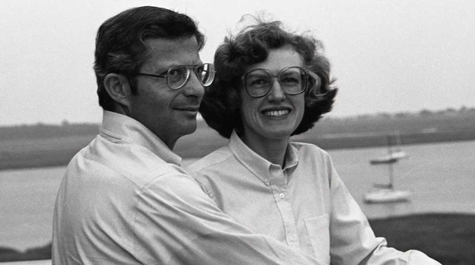 William & Mary Hall - home to hundreds of Tribe sporting events, concerts and ceremonies every year - is taking the name of two of the most generous benefactors of the university, Jane Thompson Kaplan '56 and Jim Kaplan '57. 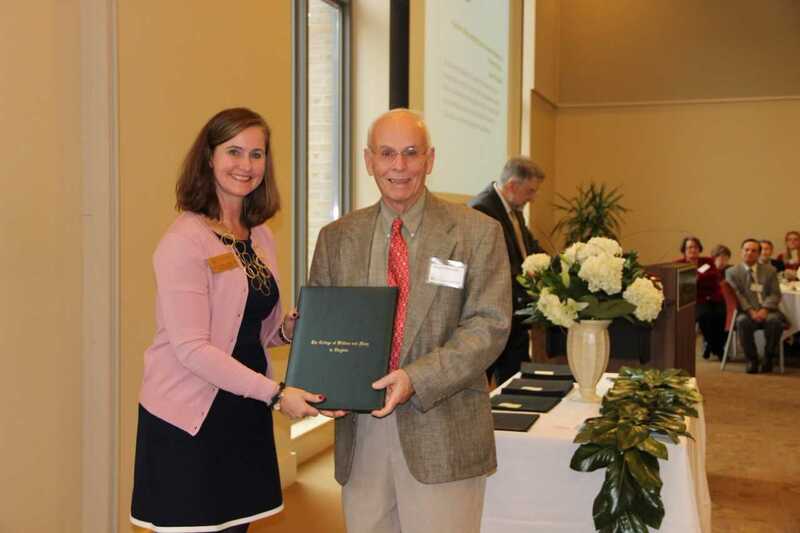 The William & Mary Alumni Association has named its Alumni Service Awards in honor of one of the university's most devoted and loyal alumni, Douglas N. Morton ’62. 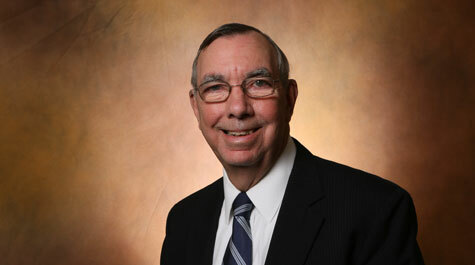 Morton passed away in July, after many years of serving his alma mater with great distinction and generosity. Eight new students from four different states make up the freshmen class of 1693 Scholars, the most elite merit-based scholarship program on campus. Mike M.B.A ’93 and Nancy Briggs Petters' ’81 generous $1 million gift will support a W&M summer camp for gifted middle school students. William & Mary exceeds goal with record number of scholarship donors in FY16. 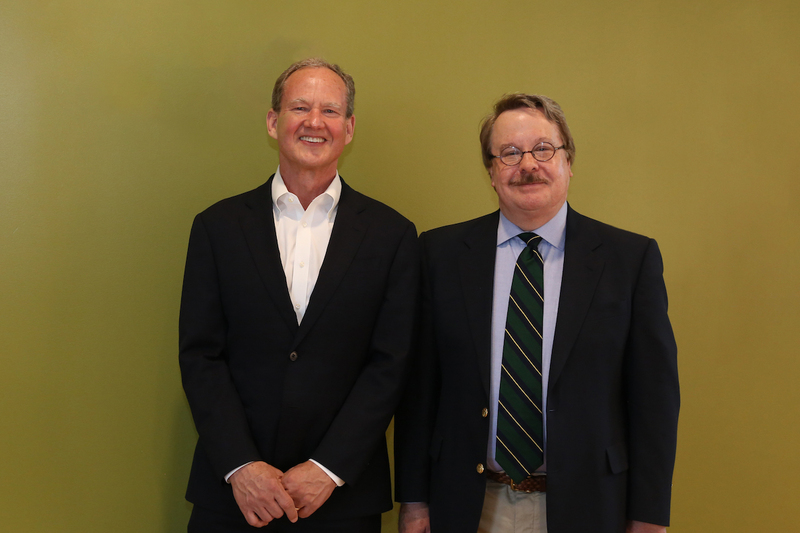 Meet For the Bold New York campaign co-chairs David Kelley ’81 and Devin Murphy ’82. Jeffrey R. Gardner M.B.A ’97 and Christine Gardner have given $250,000 to the Raymond A. Mason School of Business to fund teaching and research. 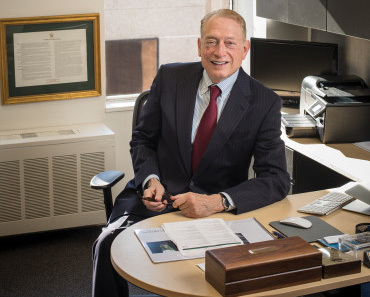 David T. Croall ’77, chair of the Annual Giving Board of Directors, discusses the importance of the university achieving 40 percent undergraduate alumni participation. Less than nine months after the public launch of For the Bold: The Campaign for William & Mary, the university continues to break old records and set new ones. Ciara Cifers '20 is the recipient of the Harriett Pittard Beales Scholarship at William & Mary for the academic year 2016-2017. Parent and Family Council creates new Tribe connections. 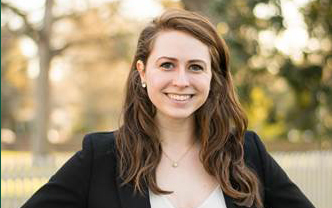 Sam Phillips '14 on why she chooses to give back to William & Mary. Throughout the 324 years of William & Mary history, we've amassed a lot of extraordinary moments. Follow along in your inbox and social media feeds — you never know what you might learn! 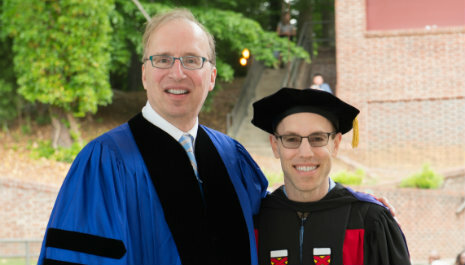 The inaugural McGlothlin Faculty Teaching Award was recently bestowed on two outstanding faculty members from the Raymond A. Mason School of Business and William & Mary Law School. Football coaches, reporters, game operations and television and radio partners will all work out of the 7,000-square-foot press box on game days. 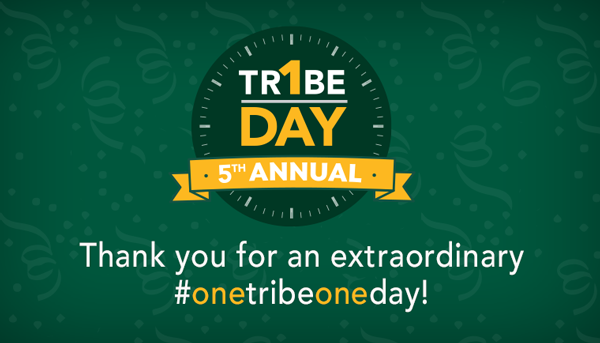 The university's official day of giving back and paying it forward — One Tribe One Day — was a smashing success, with 10,358 members of the Tribe making a gift, bringing in nearly $2.2 million in a single day. William & Mary's Board of Visitors last week approved measures that name the Lake Matoaka Amphitheatre and the Integrative Wellness Center in honor of alumni who are committed to providing an enriching and healthy environment for the entire Tribe community. 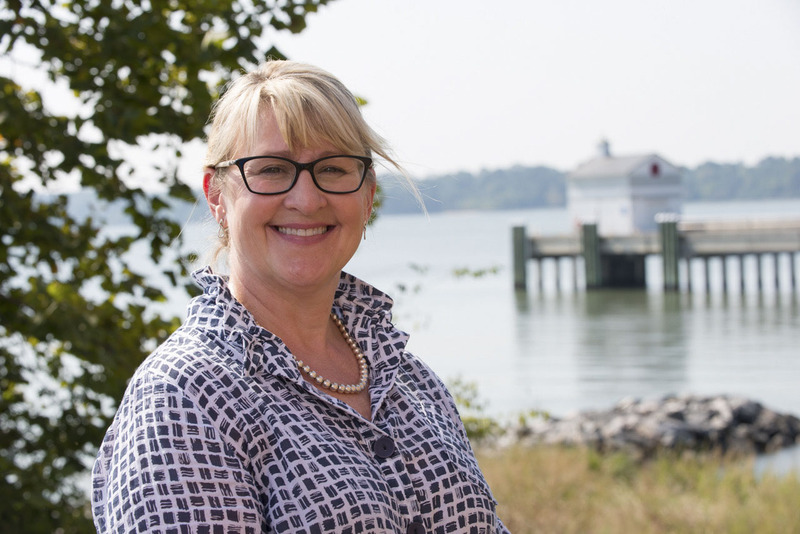 William & Mary Law School and William & Mary's Virginia Institute of Marine Science (VIMS) are collaborating on a new website that will provide key information to support local, regional and state efforts to adapt to sea-level rise, thanks to a $1.2 million grant from blue moon fund. 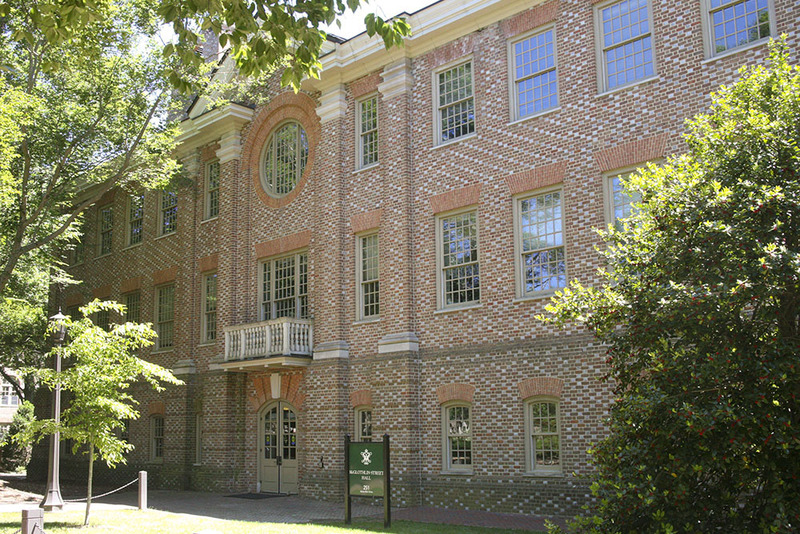 William & Mary is naming the two Jamestown Residences Hardy Hall and Lemon Hall in memory of two key figures in the university's African-American history. 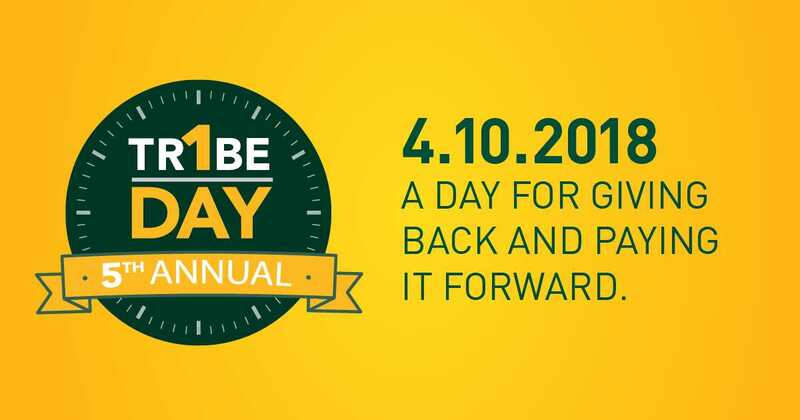 On Tuesday, April 19, William & Mary will hold its third annual One Tribe One Day — the university's official day of giving back and paying it forward. To help William & Mary acquire cutting-edge science equipment, the Cabell Foundation has generously pledged $500,000 to the Integrated Science Center's Equipment Fund, but only if the university raises $1 million by Dec. 31, 2016. 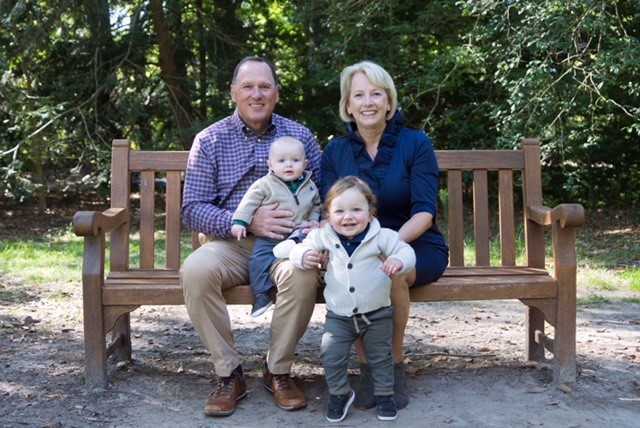 A pair of former William & Mary student-athletes, Jennifer (Tepper) '91 and Scott '91 Mackesy, have recently committed the resources to endow the head coaching positions of both the women's soccer and men's tennis and ensure future generations of Tribe student-athletes will enjoy the same experience they shared on campus. 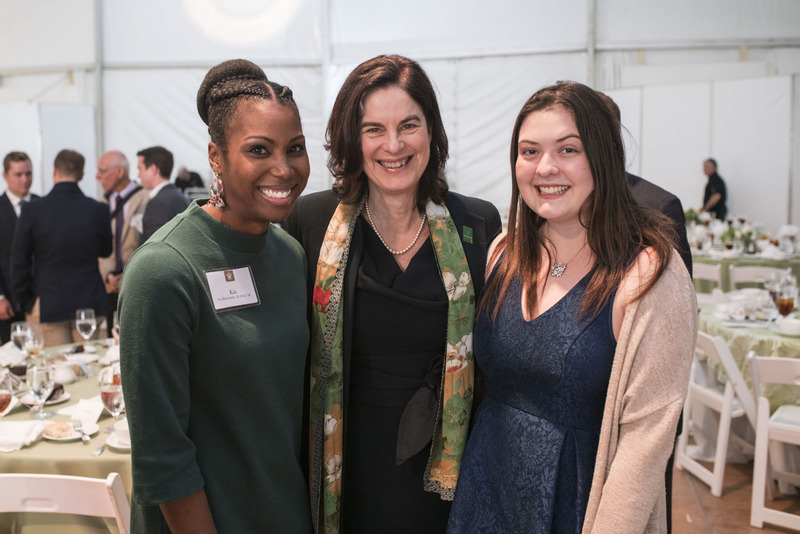 Lyuba Bolkhovitinov, Bernadette Deschaine, and Melissa Guidry, all William & Mary juniors, were each recognized by the Barry Goldwater Scholarship Program this year. William & Mary's Muscarelle Museum of Art will soon be expanding and adding a new gallery for American art, thanks to a $1 million commitment made by Patty ’62 and Carroll ’62 Owens through the Owens Foundation. Some of you have asked me why are we doing this? How does philanthropy work? Here's my explanation of the campaign. Geology professor Chuck Bailey's ’89 work has taken him and his students to far away places like Oman, as well as sites around Virginia. William & Mary is the recipient of a nearly $50,000 grant from the Anthem Blue Cross and Blue Shield Foundation to support the Healthy Beginnings project. 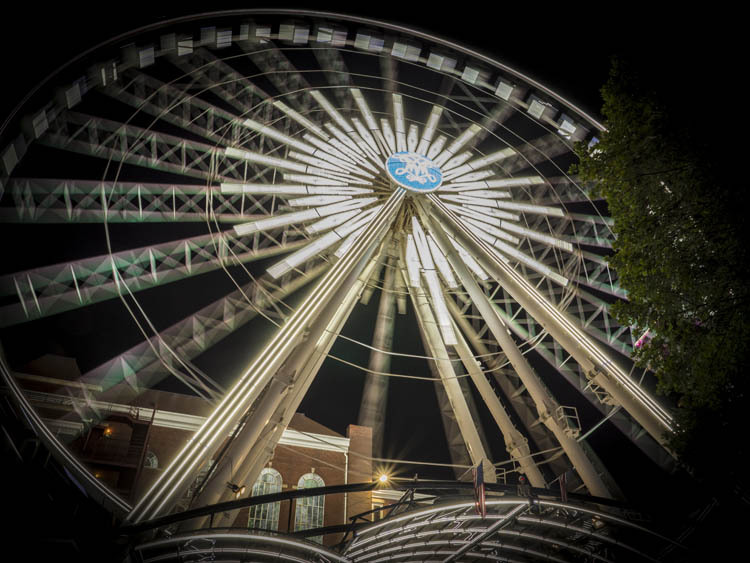 The university will be collaborating with Virginia Commonwealth University (VCU), which also received funding on the project. 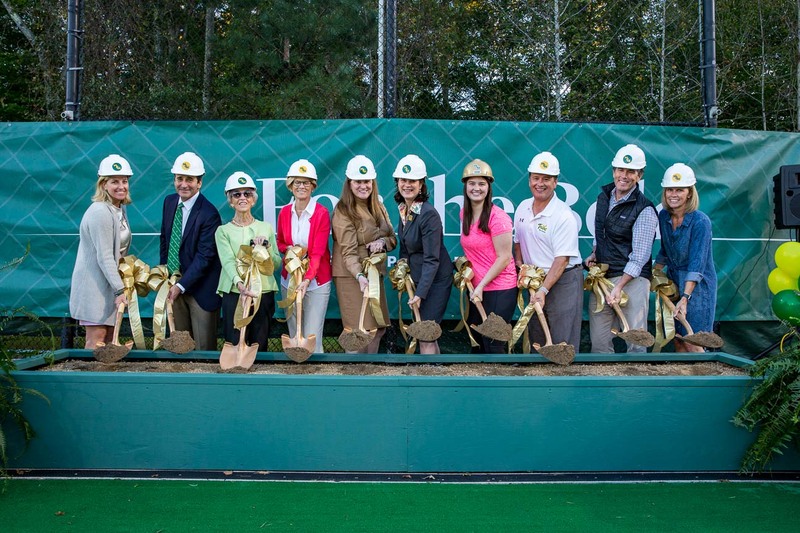 William &amp; Mary will continue to strengthen efforts supporting the health and wellbeing of students across campus with a $1.5 million gift for the new Integrative Wellness Center. On the heels of the launch of For the Bold: The Campaign for William & Mary, the university is announcing that three of its most senior leaders - the chancellor, rector and president - have each made gifts. The contributions from Becky and Robert M. Gates ’65, L.H.D. ’98, Elaine and Todd Stottlemyer ’85 and Helen and Taylor Reveley will benefit scholarships and professorships. 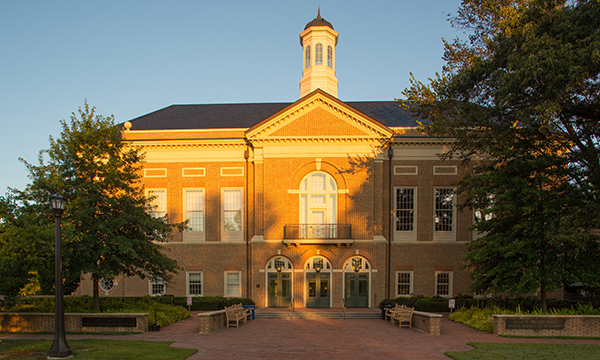 William & Mary's business and law schools have each received $22-million to fund student scholarships, teaching awards, and a conference that brings leaders in law and business to campus. William & Mary is the smallest public university in the nation to ever embark on a campaign of this magnitude. 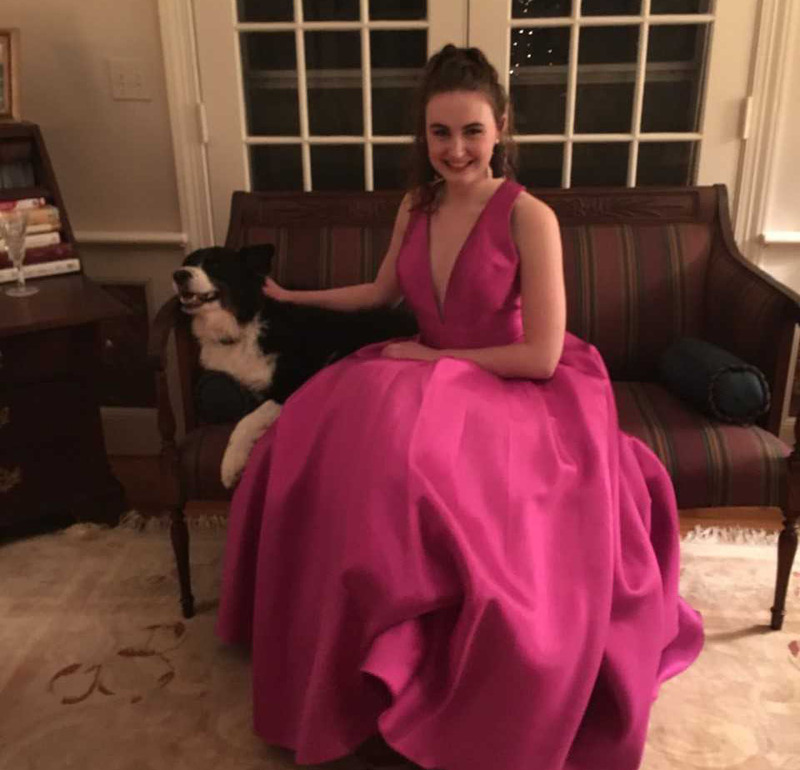 Parents of a William & Mary student are supporting scholarships with a $1 million commitment to help ensure that students with exceptional ability have the means to attend the university. 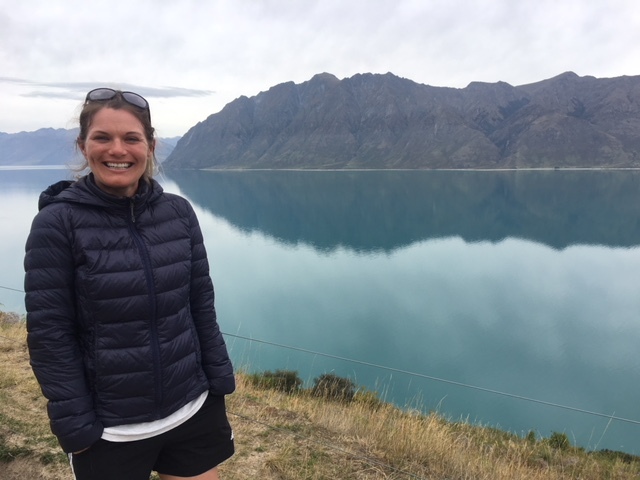 The commitment comes from Jody Forsyth and Wilma Quan-Forsyth of Calgary, Canada, parents of Samantha ’15 who is currently studying at the William & Mary Law School. William & Mary's Swem Library has received a nearly $2 million commitment from the late Frances Lightfoot Robb ’48 - the largest single gift in its history - to meet the most pressing needs of the library. 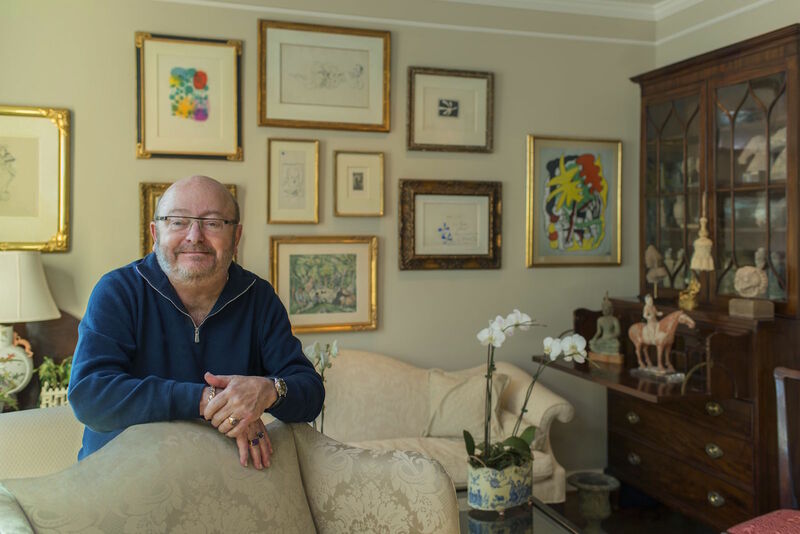 William & Mary will continue to build on its legacy as the first university in the U.S. to teach and collect art, thanks to a $2.5 million commitment from Joe and Sharon Muscarelle to expand the Muscarelle Museum of Art. To help kick off Family Weekend and the Tribe's first home football game of the season, Sue ’76 and John ’75 Gerdelman have made a $4 million commitment to William & Mary, a large portion of which will support Tribe Athletics. Support for education: The School of Education received a $5.6 million commitment to support the study of teaching, teacher preparation and special education. 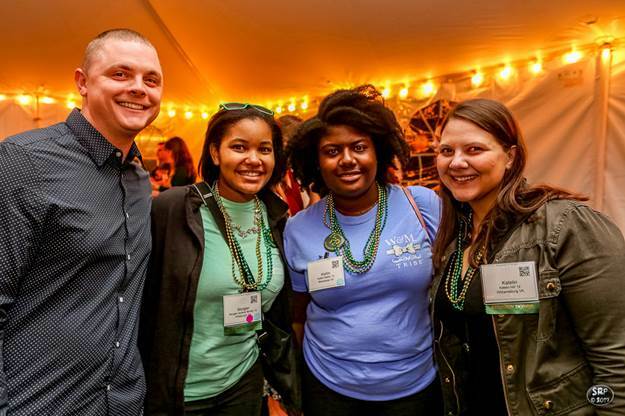 A record-breaking fundraising year in 2015: William & Mary Law School's alumni, students, and friends once again supported the School in record-breaking numbers during the fiscal year that ended June 30, 2015. Renovated largely through the support of private donors, Swem's new media center boasts a media lab, two classrooms with display technologies, a screening room, collaboration lab and eight studios. 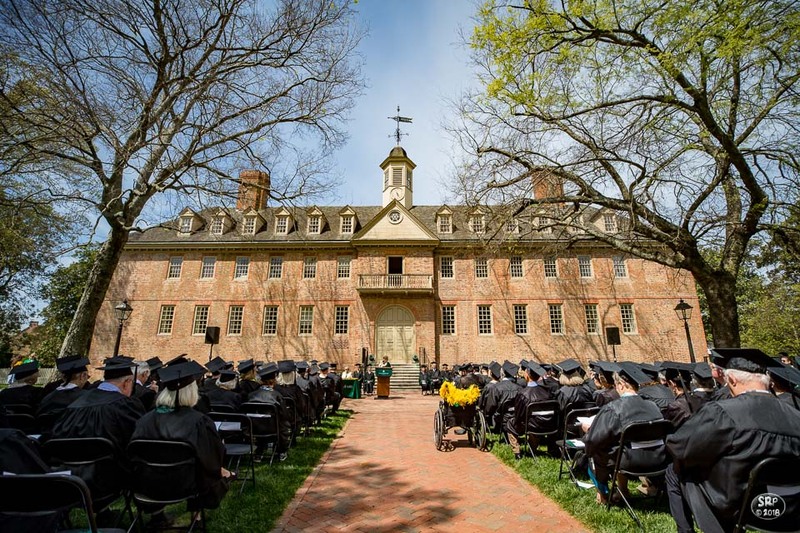 William & Mary raised a record-breaking $105.8 million in a single fiscal year and now has the highest percentage of undergraduate alumni from a top-ranked public university giving back to their alma mater - 27.1 percent or more than 16,800 alumni. Honoring Tribe fans: The Kraemers created the endowment to honor two former William & Mary football players who have been among the most loyal Tribe fans over the last several decades - Richard E. Korns ’68 and Michael G. Weaver ’66, M.Ed. ’70. A significant portion of this commitment will support scholarships for student-athletes participating in the Women's Basketball program - it will be the largest gift ever given to Women's Basketball from a single donor. William & Mary's Class of 1965 broke the record for the largest 50th reunion gift in the university's history. 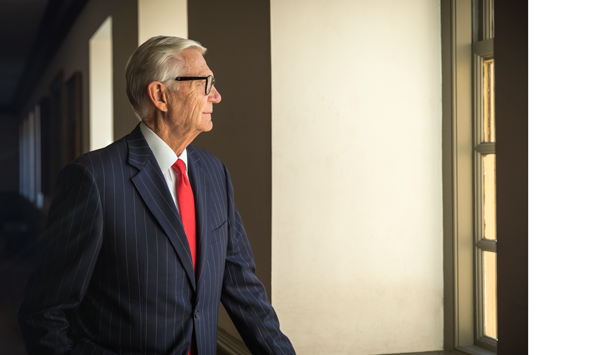 The Raymond A. Mason School of Business at William & Mary is bolstering its Master of Accounting and M.B.A. programs with the support of a $1 million commitment from John Rathbone, former chief financial officer of Norfolk Southern Corporation. Committee on Competitive Excellence provides roadmap for a championship experience for every student-athlete and every fan. William & Mary has logged an unusual "clean sweep" in a prestigious national scholarship program, with all four of the university's nominees winning Goldwater Scholarships. Camp Launch is a program for gifted children from families with limited resources.